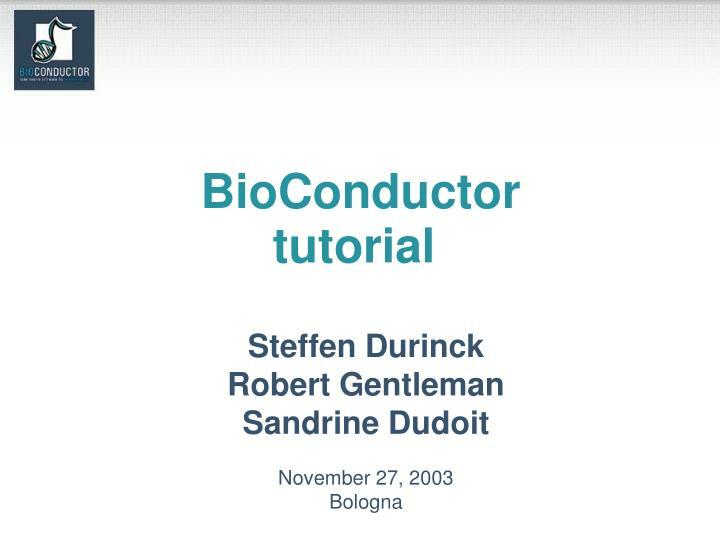 BioConductor tutorial. Steffen Durinck Robert Gentleman Sandrine Dudoit November 27, 2003 Bologna. Outline. 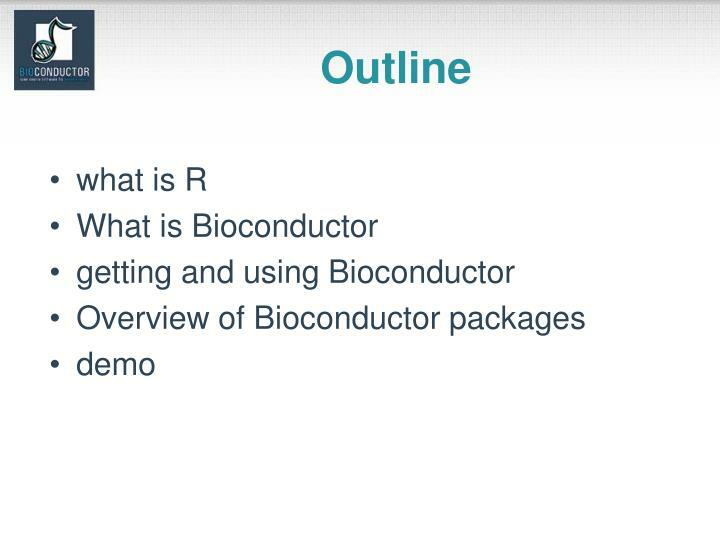 what is R What is Bioconductor getting and using Bioconductor Overview of Bioconductor packages demo. 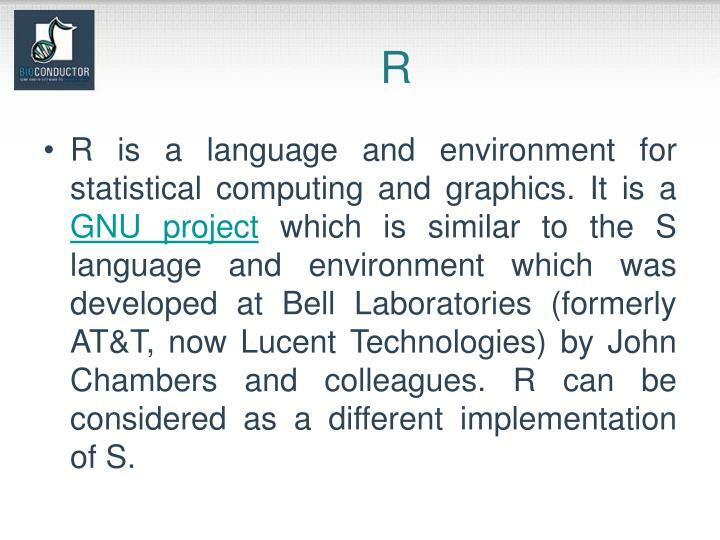 R.
R is a language and environment for statistical computing and graphics. 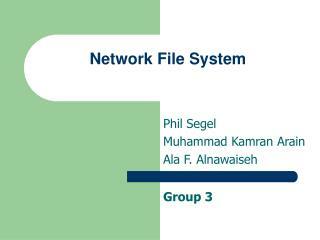 It is a GNU project which is similar to the S language and environment which was developed at Bell Laboratories (formerly AT&T, now Lucent Technologies) by John Chambers and colleagues. 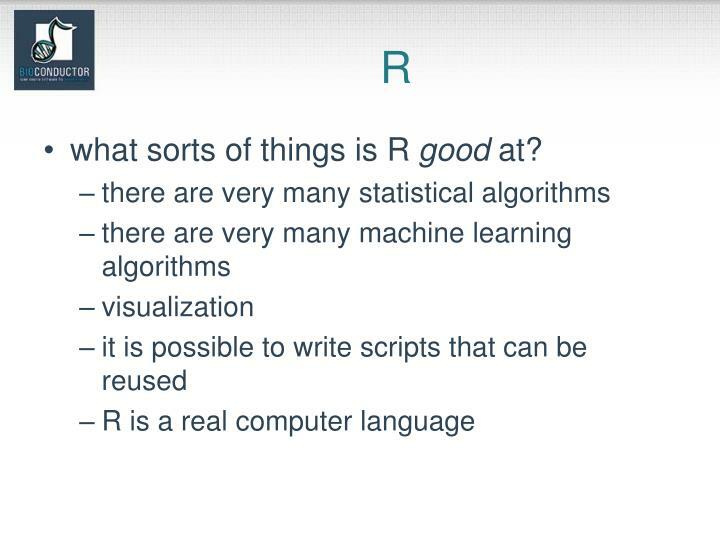 R can be considered as a different implementation of S.
what sorts of things is R good at? Provide access to powerful statistical and graphical methods for the analysis of genomic data. 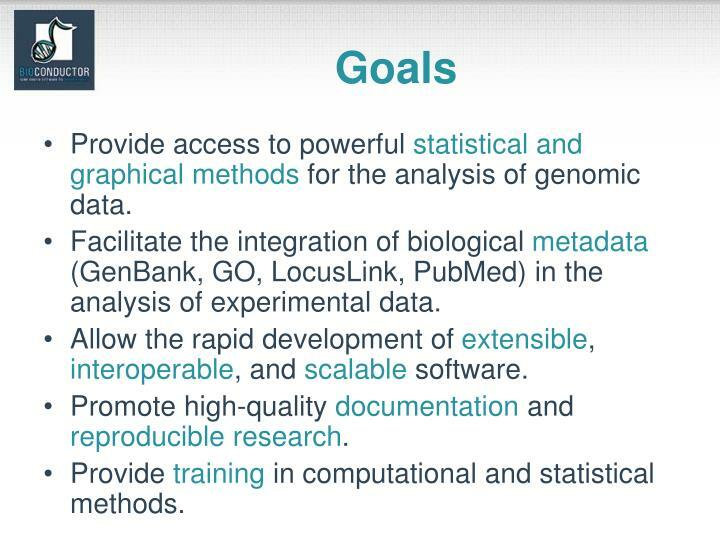 Facilitate the integration of biological metadata (GenBank, GO, LocusLink, PubMed) in the analysis of experimental data. 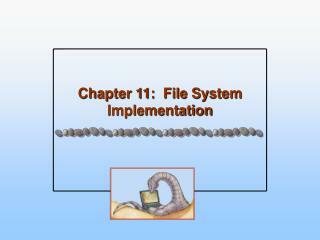 Allow the rapid development of extensible, interoperable, and scalable software. 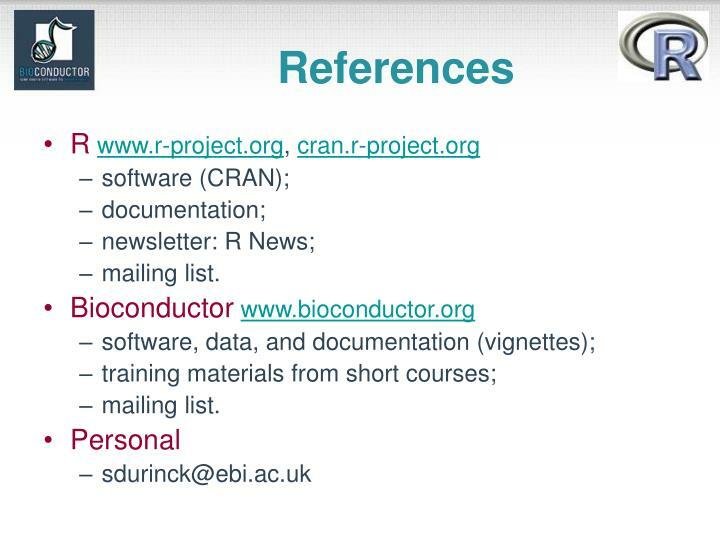 Promote high-quality documentation and reproducible research. Provide training in computational and statistical methods. 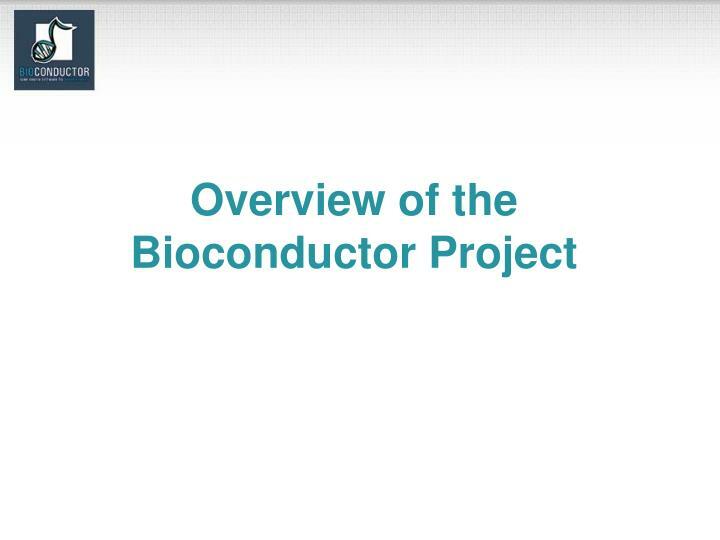 Bioconductor is an open source and open development software project for the analysis of biomedical and genomic data. 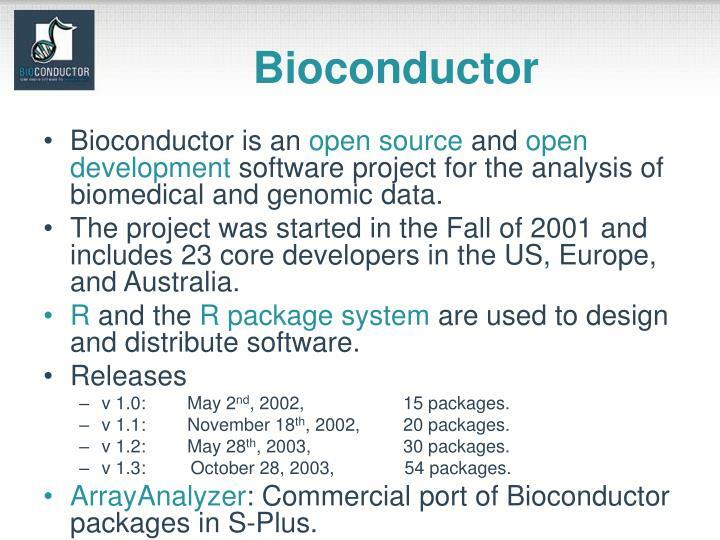 The project was started in the Fall of 2001 and includes 23 core developers in the US, Europe, and Australia. 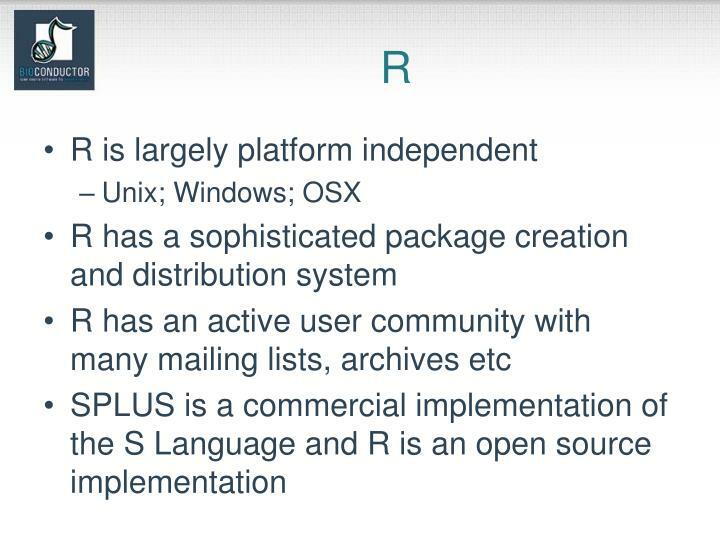 R and the R package system are used to design and distribute software. v 1.0: May 2nd, 2002, 15 packages. 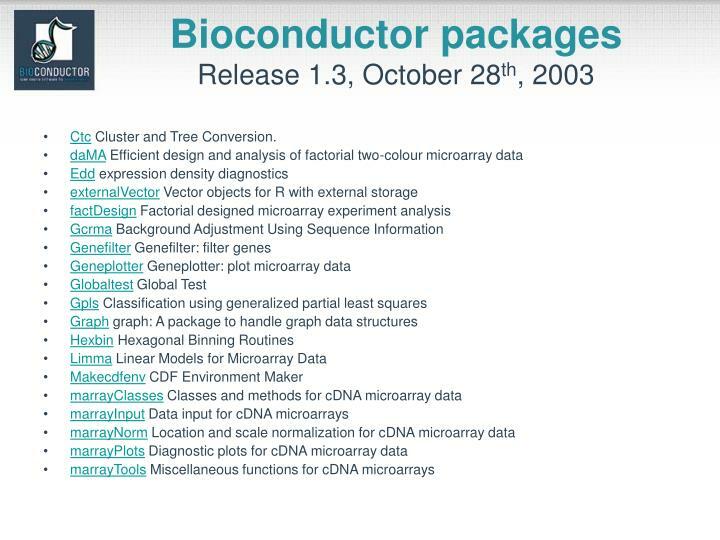 v 1.1: November 18th, 2002,	20 packages. v 1.2: May 28th, 2003, 30 packages. 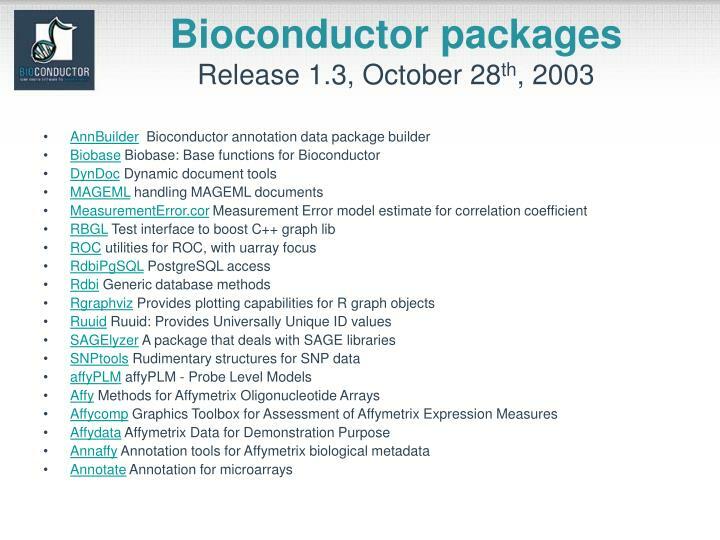 v 1.3: October 28, 2003, 54 packages. 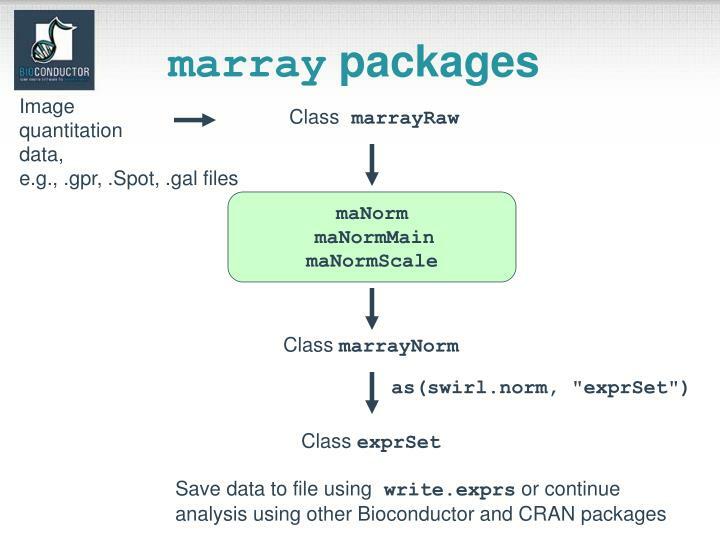 ArrayAnalyzer: Commercial port of Bioconductor packages in S-Plus. 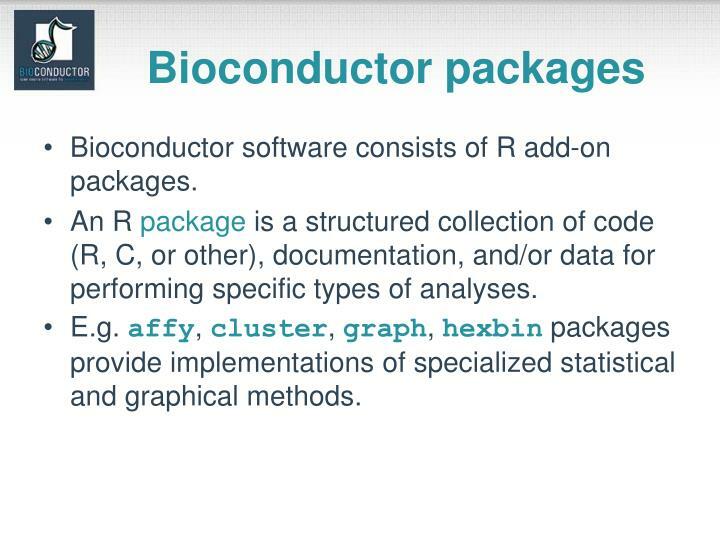 Bioconductor software consists of R add-on packages. 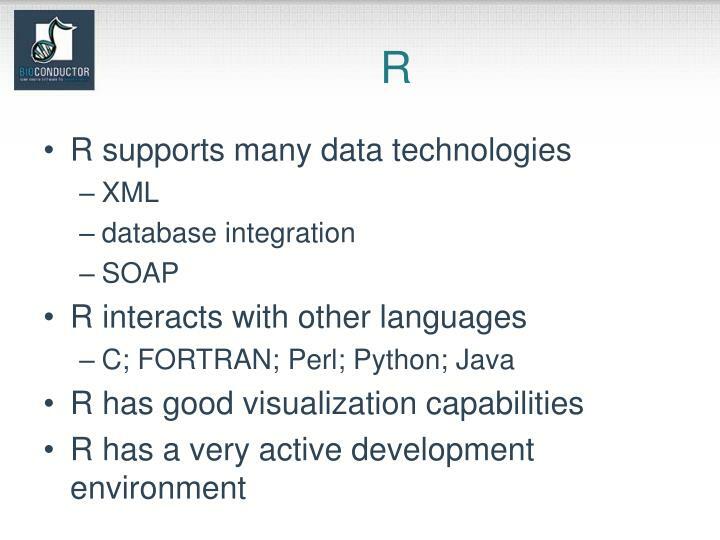 An R package is a structured collection of code (R, C, or other), documentation, and/or data for performing specific types of analyses. 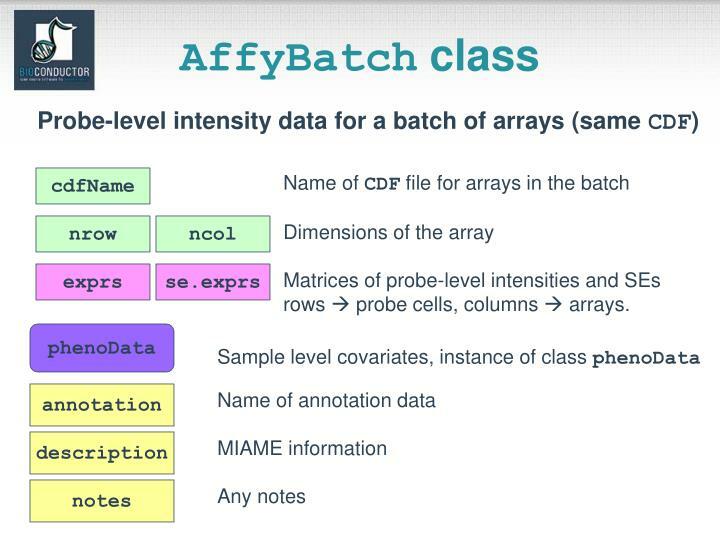 E.g.affy, cluster, graph, hexbin packages provide implementations of specialized statistical and graphical methods. 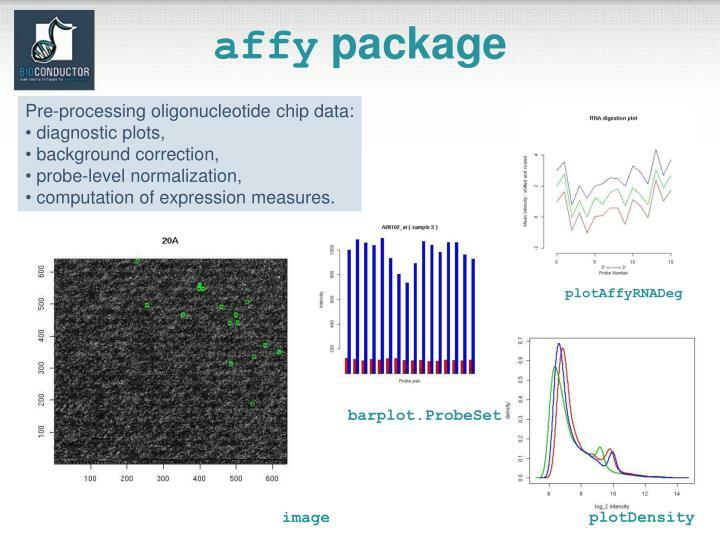 Biological metadata: mappings between different gene identifiers (e.g., AffyID, GO, LocusID, PMID), CDF and probe sequence information for Affy arrays. Experimental data: code, data, and documentation for specific experiments or projects. yeastCC: Spellman et al. (1998) yeast cell cycle. golubEsets: Golub et al. (2000) ALL/AML data. 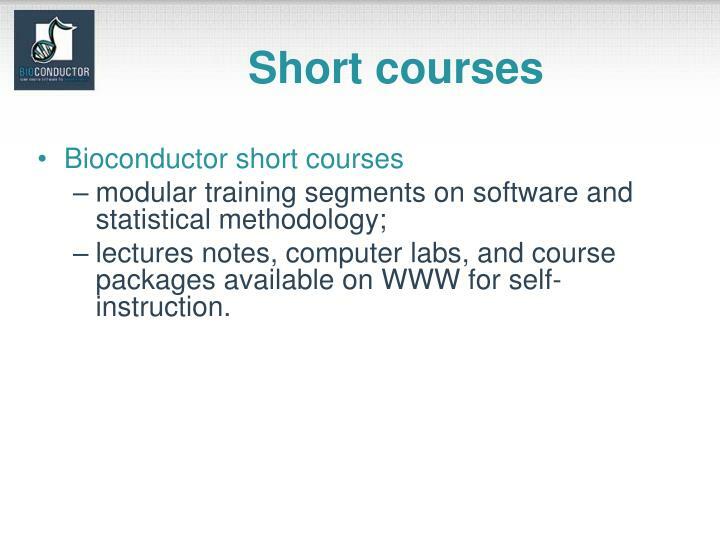 Course packages: code, data, documentation, and labs for the instruction of a particular course. E.g. 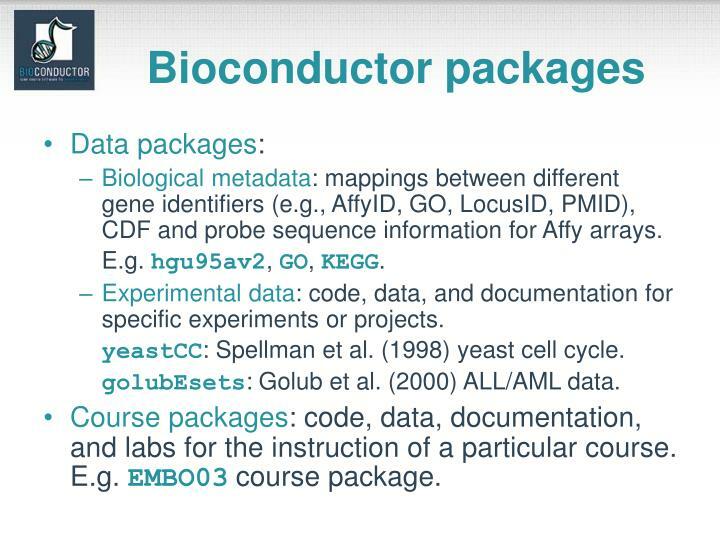 EMBO03 course package. Ctc Cluster and Tree Conversion. 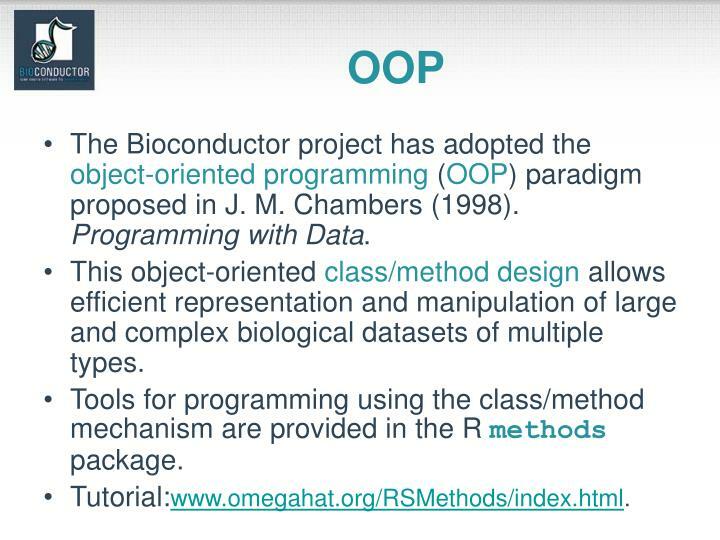 The Bioconductor project has adopted the object-oriented programming (OOP) paradigm proposed in J. M. Chambers (1998). Programming with Data. 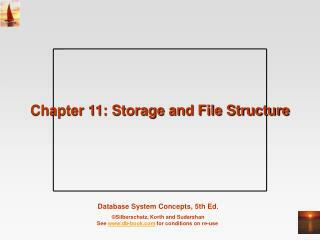 This object-oriented class/method design allows efficient representation and manipulation of large and complex biological datasets of multiple types. 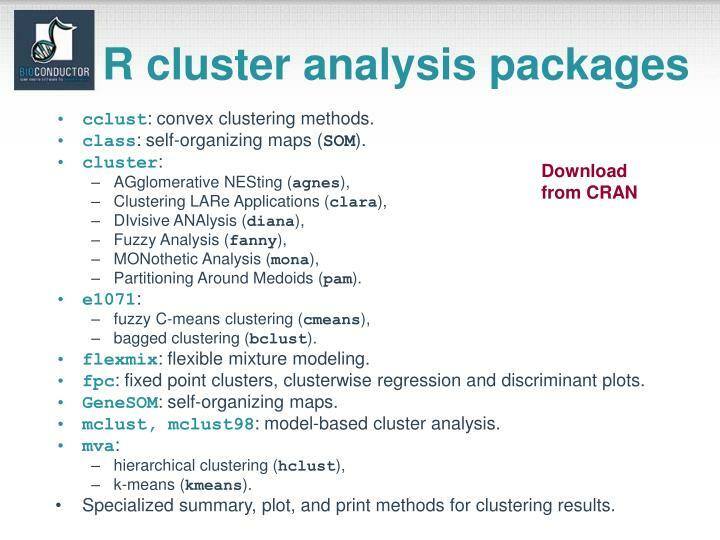 Tools for programming using the class/method mechanism are provided in the R methodspackage. A classprovides a software abstraction of a real world object. It reflects how we think of certain objects and what information these objects should contain. 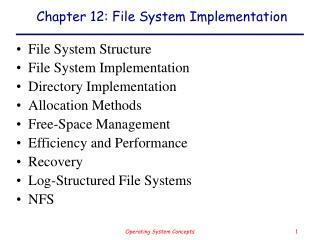 Classes are defined in terms of slots which contain the relevant data. 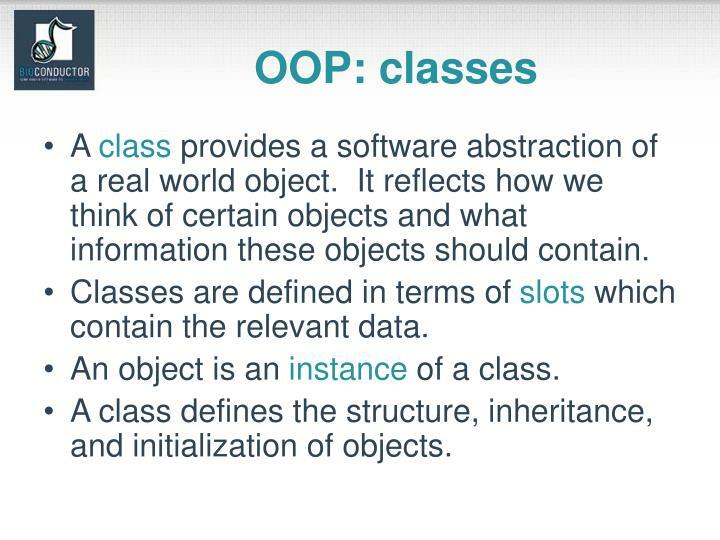 A class defines the structure, inheritance, and initialization of objects. 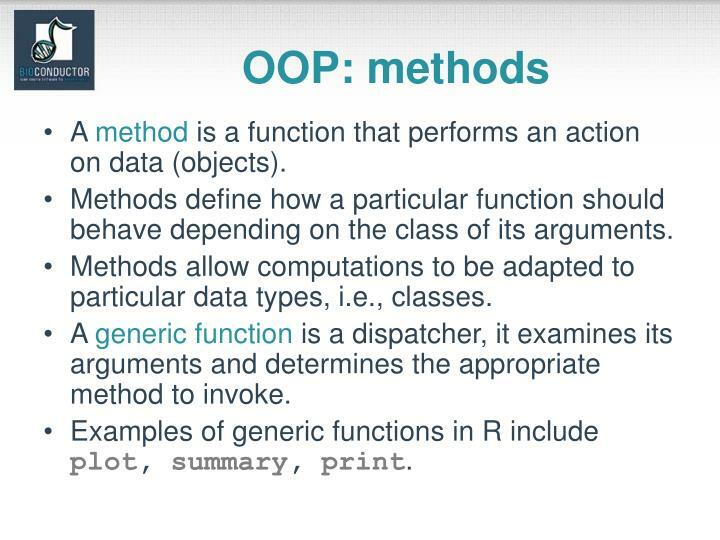 A method is a function that performs an action on data (objects). Methods define how a particular function should behave depending on the class of its arguments. 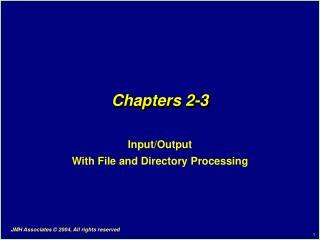 Methods allow computations to be adapted to particular data types, i.e., classes. A generic function is a dispatcher, it examines its arguments and determines the appropriate method to invoke. Examples of generic functions in R include plot, summary, print. rows  probe cells, columns  arrays. to deal with data complexity. 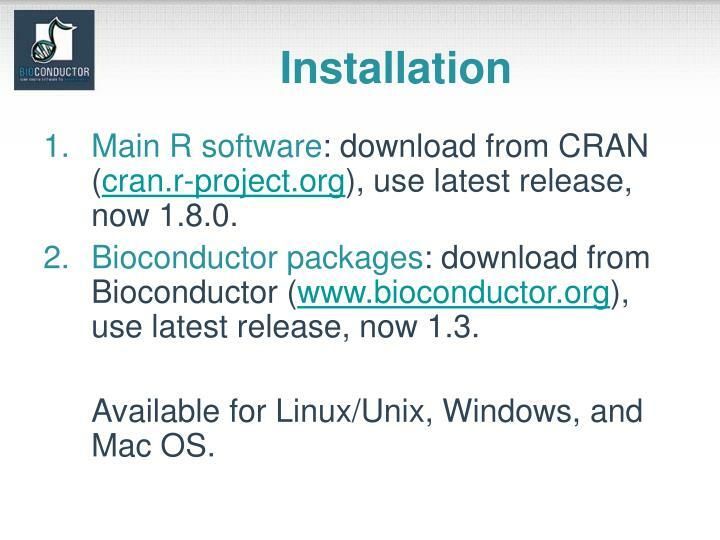 Main R software: download from CRAN (cran.r-project.org), use latest release, now 1.8.0. 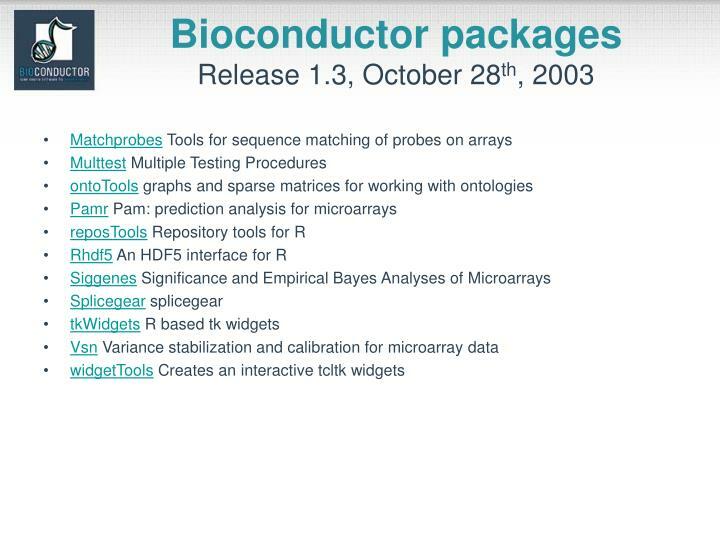 Bioconductor packages: download from Bioconductor (www.bioconductor.org), use latest release, now 1.3. 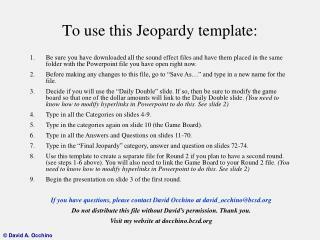 Available for Linux/Unix, Windows, and Mac OS. 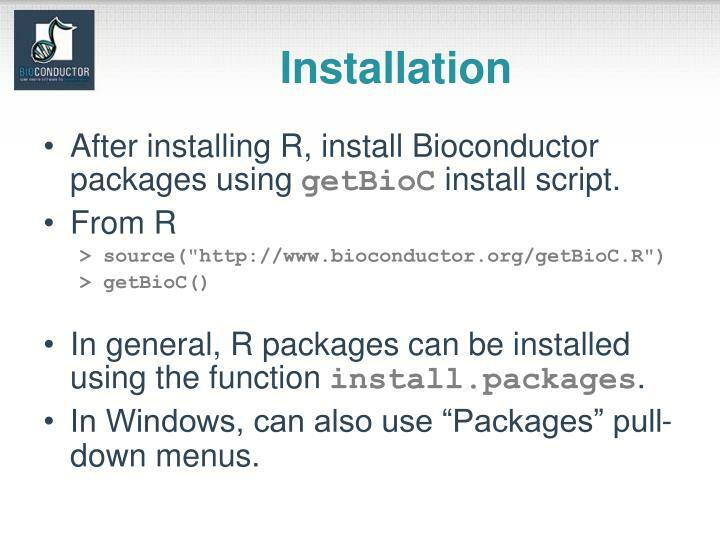 After installing R, install Bioconductor packages using getBioC install script. 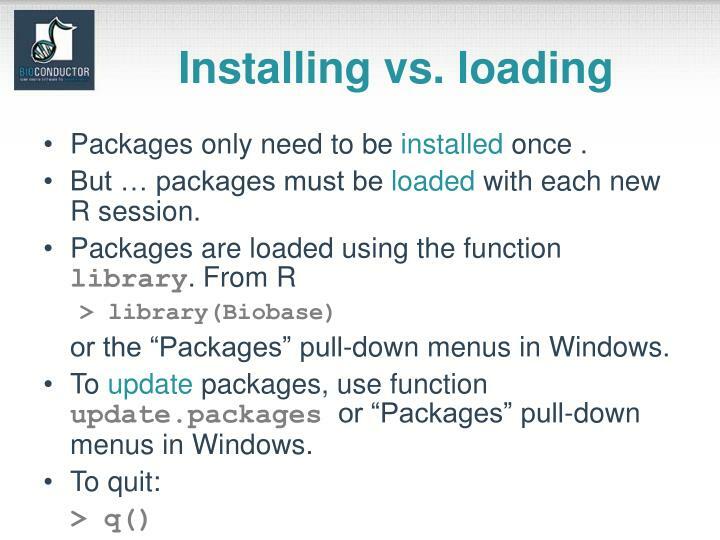 In general, R packages can be installed using the function install.packages. In Windows, can also use “Packages” pull-down menus. Packages only need to be installed once . But … packages must be loaded with each new R session. or the “Packages” pull-down menus in Windows. To update packages, use function update.packagesor “Packages” pull-down menus in Windows. 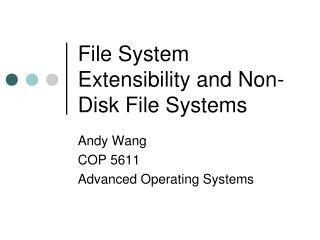 R manuals and tutorials:available from the R website or on-line in an R session. 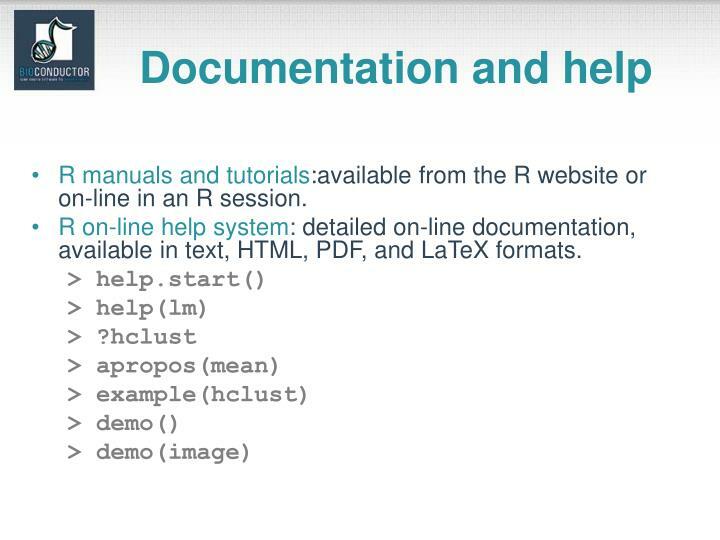 R on-line help system: detailed on-line documentation, available in text, HTML, PDF, and LaTeX formats. 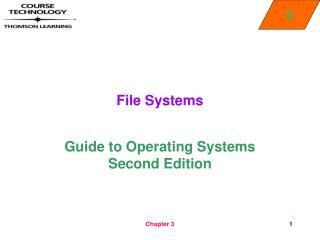 lectures notes, computer labs, and course packages available on WWW for self-instruction. Bioconductor has adopted a new documentation paradigm, the vignette. 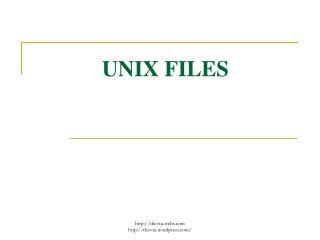 A vignette is an executable document consisting of a collection of code chunks and documentation text chunks. 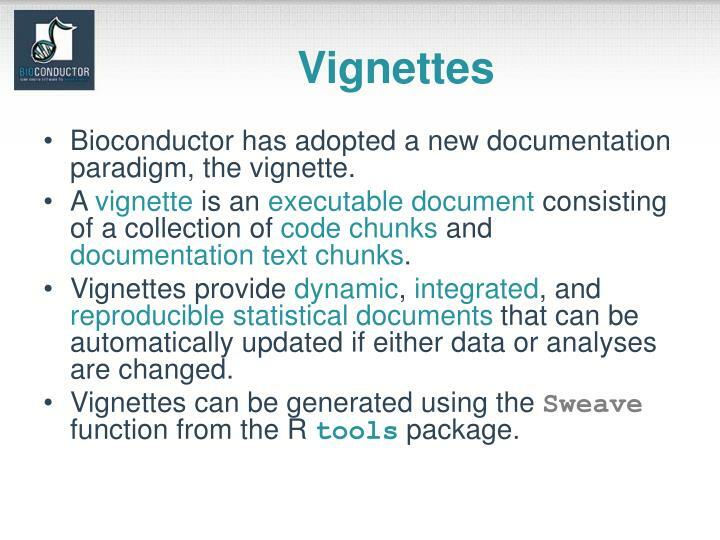 Vignettes provide dynamic, integrated, and reproducible statistical documents that can be automatically updated if either data or analyses are changed. 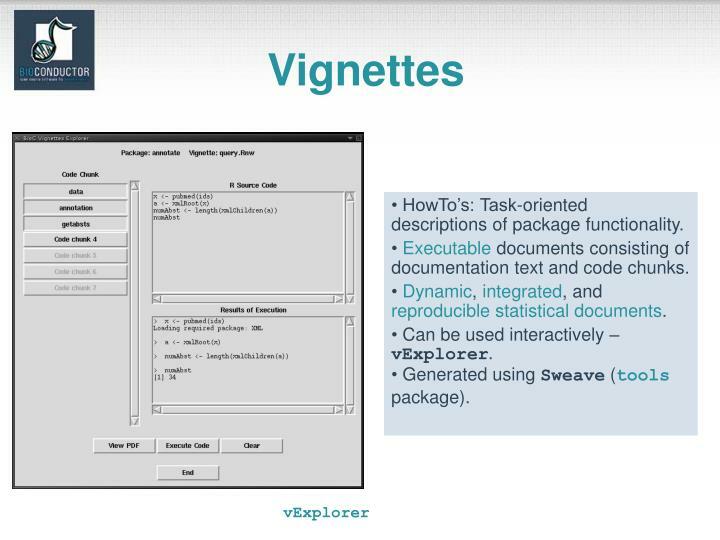 Vignettes can be generated using the Sweave function from the R toolspackage. 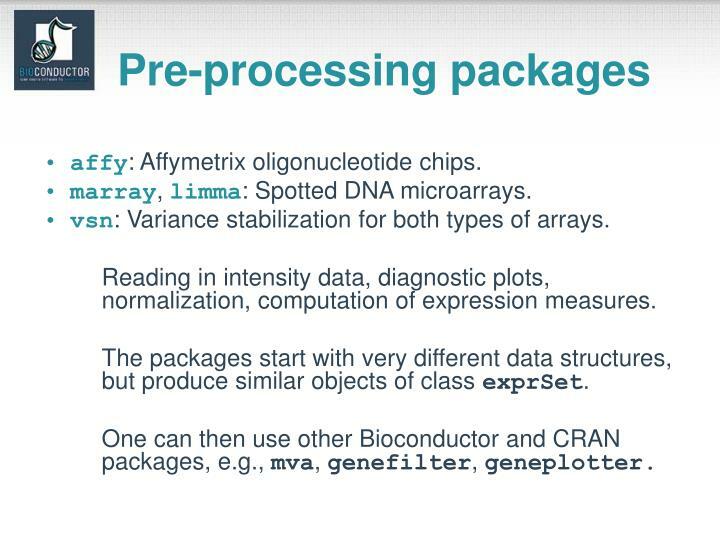 Each Bioconductor package contains at least one vignette, providing task-oriented descriptions of the package's functionality. 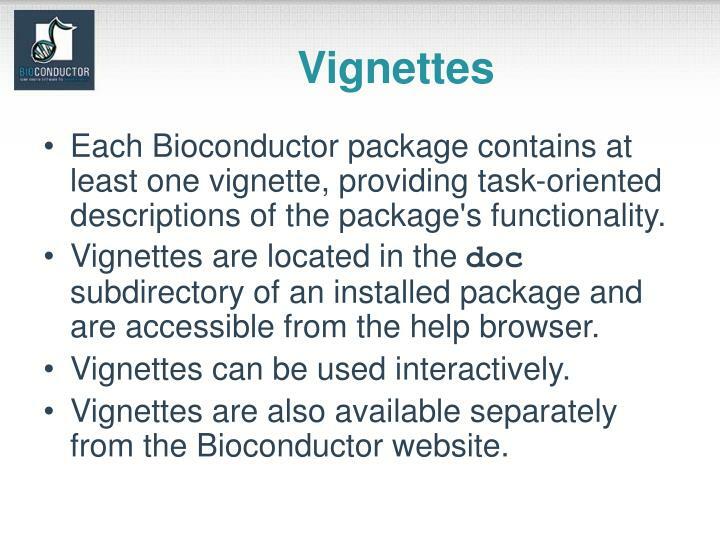 Vignettes are located in the doc subdirectory of an installed package and are accessible from the help browser. Vignettes can be used interactively. Vignettes are also available separately from the Bioconductor website. 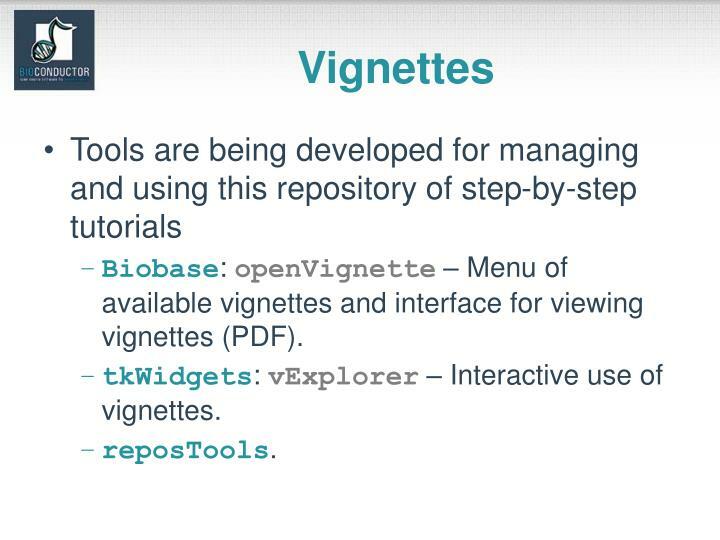 Biobase:openVignette– Menu of available vignettes and interface for viewing vignettes (PDF). tkWidgets: vExplorer– Interactive use of vignettes. HowTo’s: Task-oriented descriptions of package functionality. 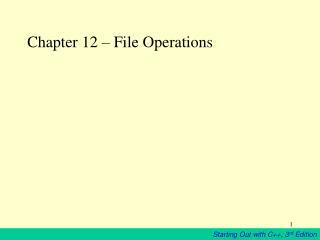 Executable documents consisting of documentation text and code chunks. 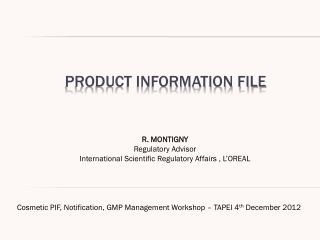 Dynamic, integrated, and reproduciblestatistical documents. Can be used interactively – vExplorer. 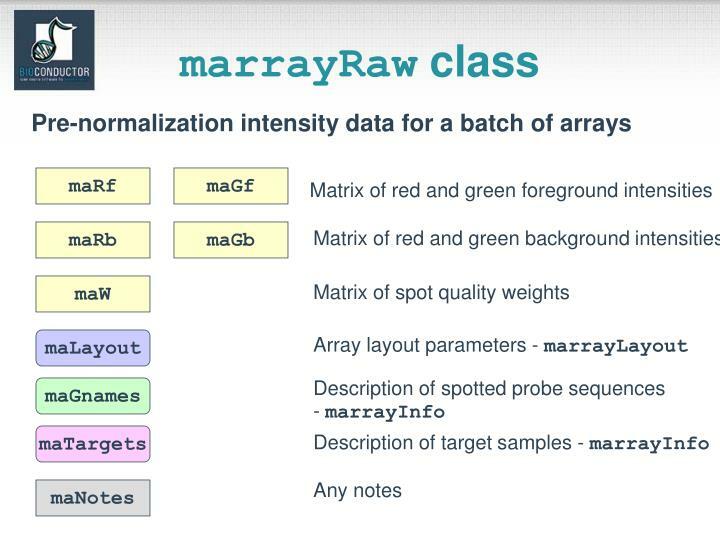 marray, limma: Spotted DNA microarrays. 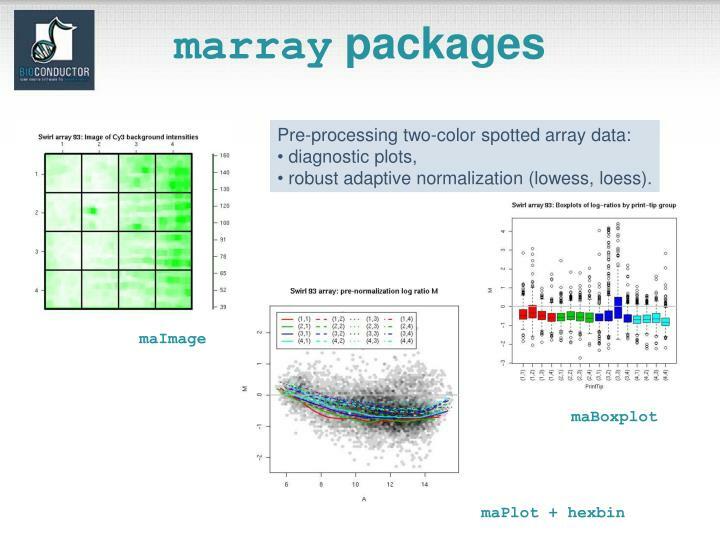 vsn: Variance stabilization for both types of arrays. Reading in intensity data, diagnostic plots, normalization, computation of expression measures. The packages start with very different data structures, but produce similar objects of class exprSet. 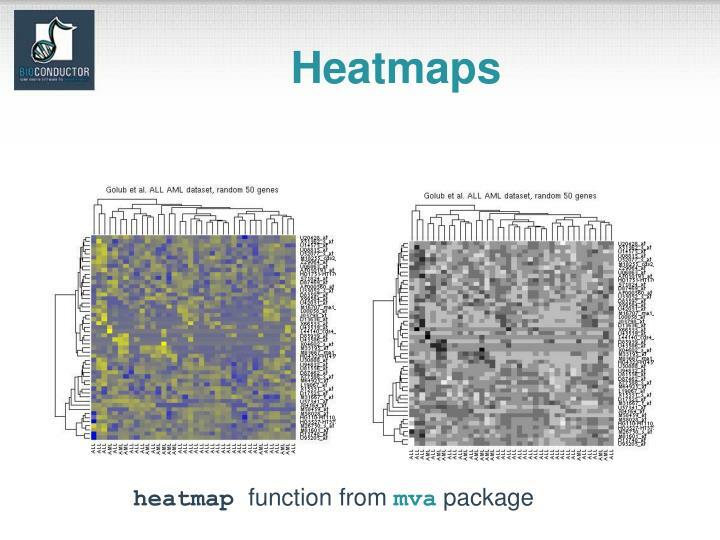 One can then use other Bioconductor and CRAN packages, e.g., mva, genefilter, geneplotter. robust adaptive normalization (lowess, loess). 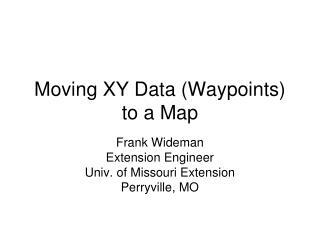 basic methods for manipulating microarray objects: printing, plotting, subsetting, class conversions, etc. widgets for point & click interface. 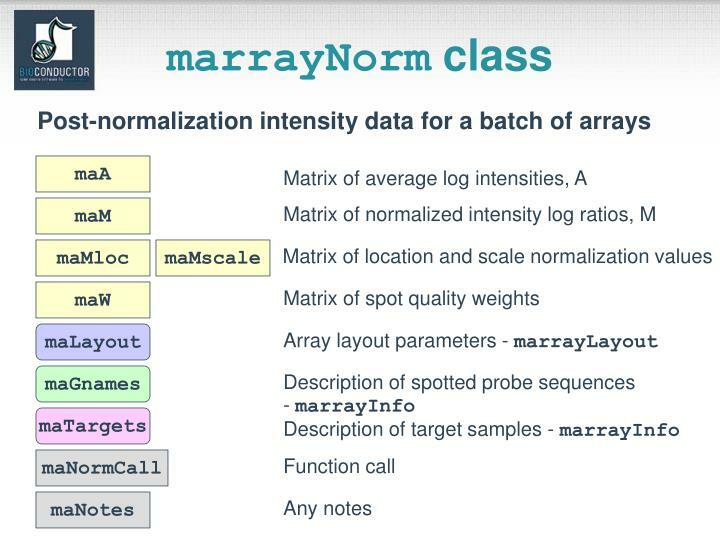 marrayNorm: robust adaptive location and scale normalization procedures (lowess, loess). 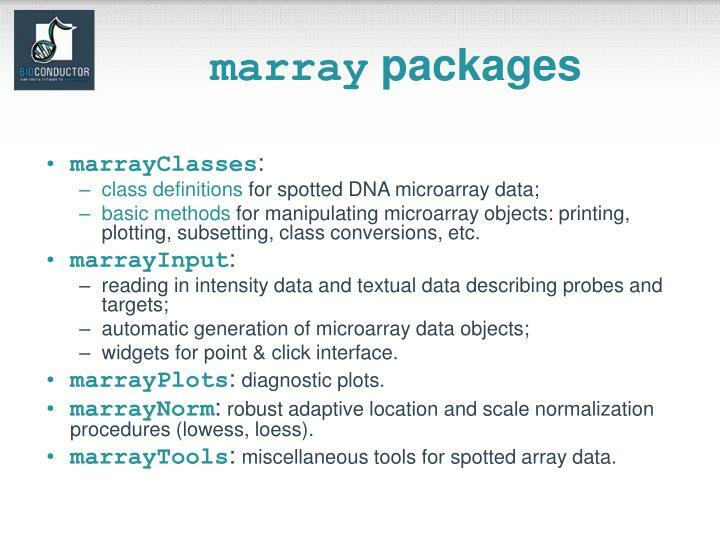 marrayTools: miscellaneous tools for spotted array data. 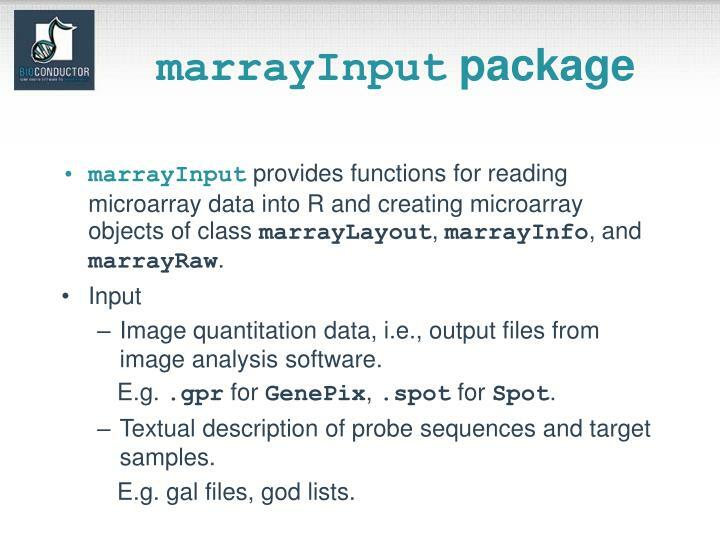 marrayInput provides functions for reading microarray data into R and creating microarray objects of class marrayLayout, marrayInfo, and marrayRaw. 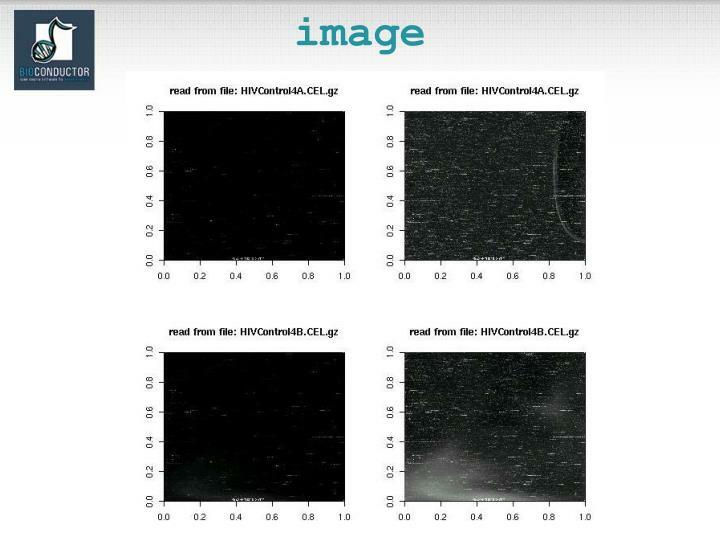 Image quantitation data, i.e., output files from image analysis software. E.g. .gpr for GenePix, .spot for Spot. Textual description of probe sequences and target samples. E.g. gal files, god lists. 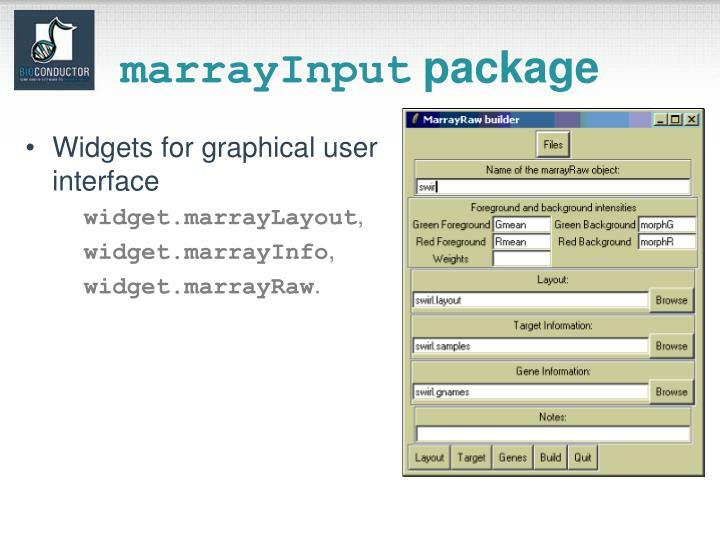 Widgets.Small-scale graphical user interfaces (GUI), providing point & click access for specific tasks. E.g. 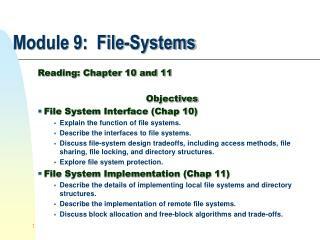 File browsing and selection for data input, basic analyses. 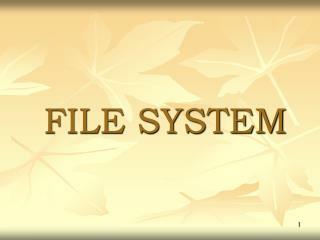 tkWidgets: dataViewer, fileBrowser, fileWizard, importWizard, objectBrowser. 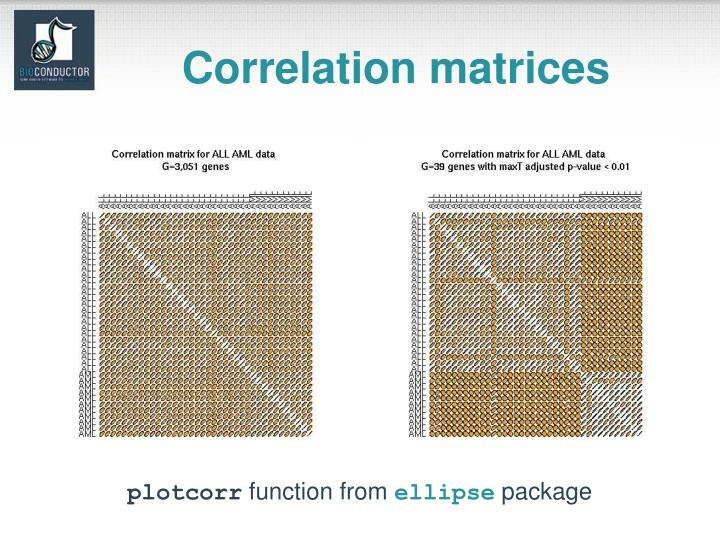 Diagnostic plots of spot statistics. E.g. Red and green log intensities, intensity log ratios M, average log intensities A, spot area. 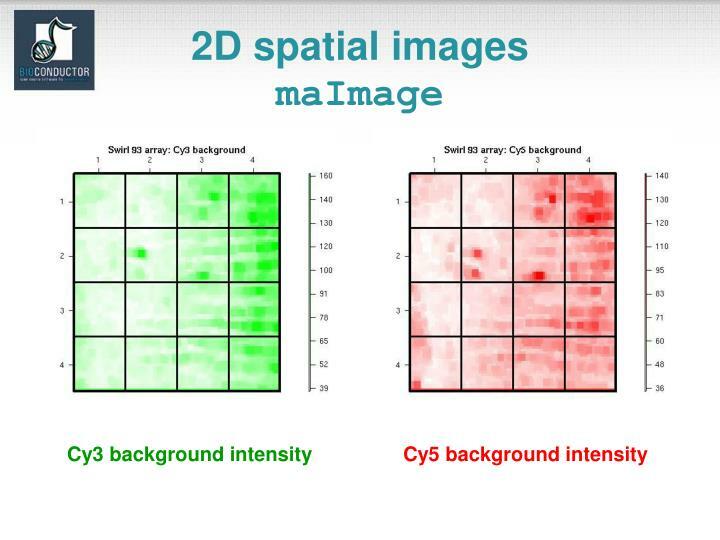 maImage: 2D spatial color images. 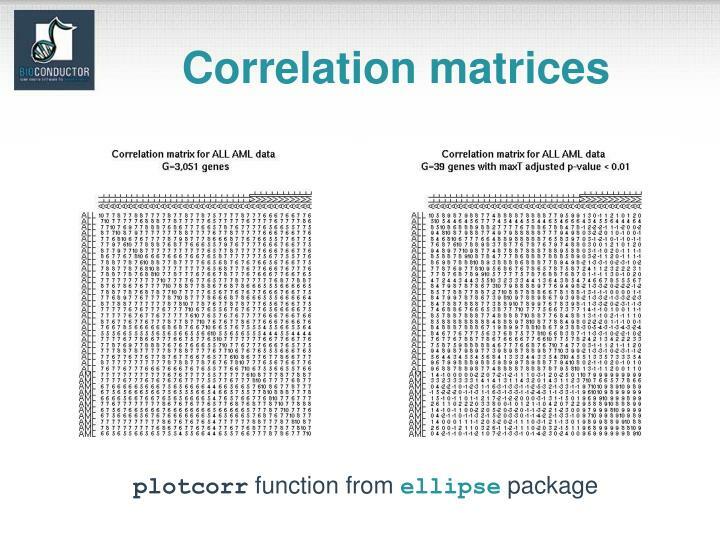 maPlot: scatter-plots with fitted curves and text highlighted. 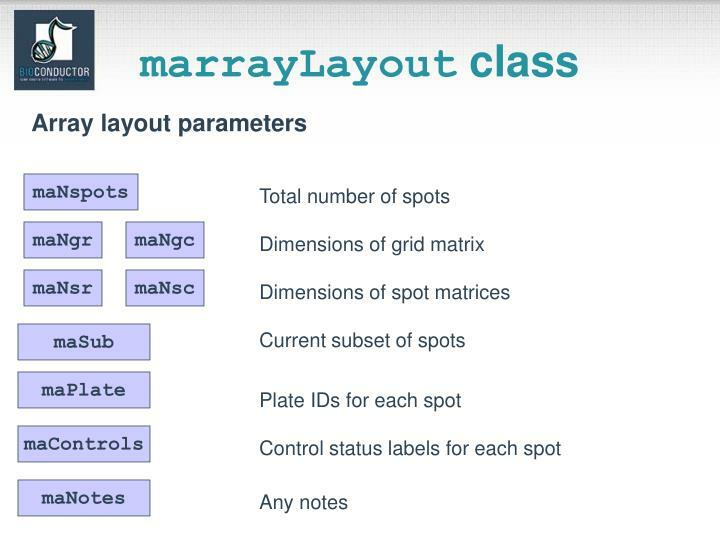 Stratify plots according to layout parameters such as print-tip-group, plate. E.g. 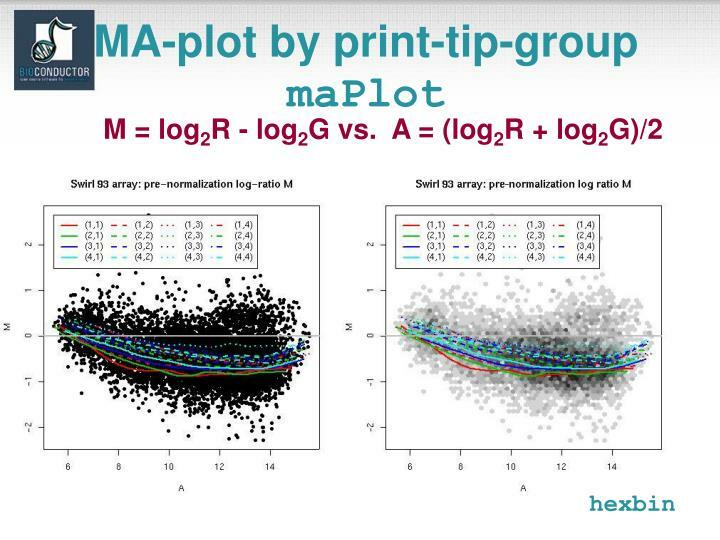 MA-plots with loess fits by print-tip-group. 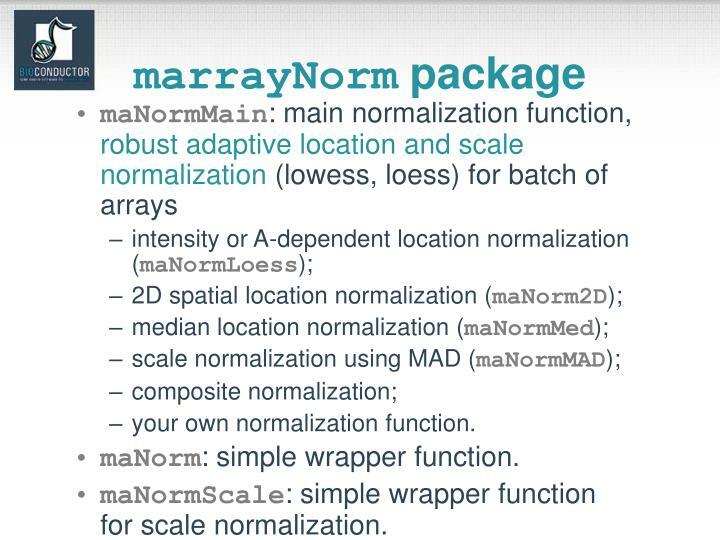 maNormScale: simple wrapper function for scale normalization. 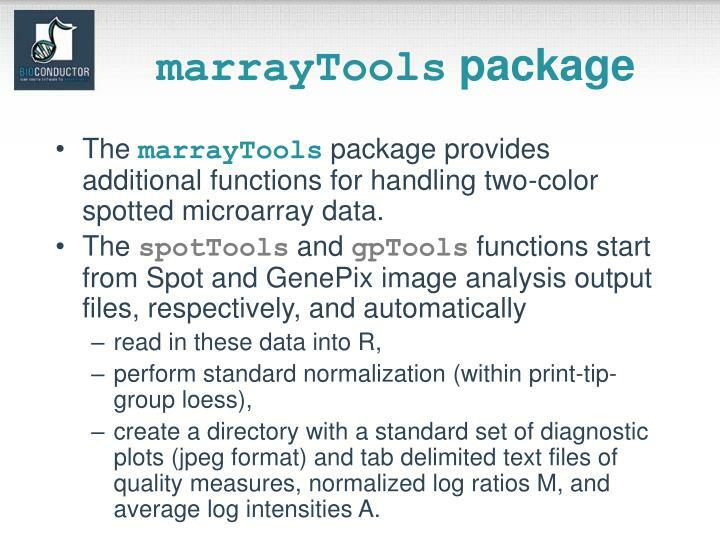 The marrayTools package provides additional functions for handling two-color spotted microarray data. 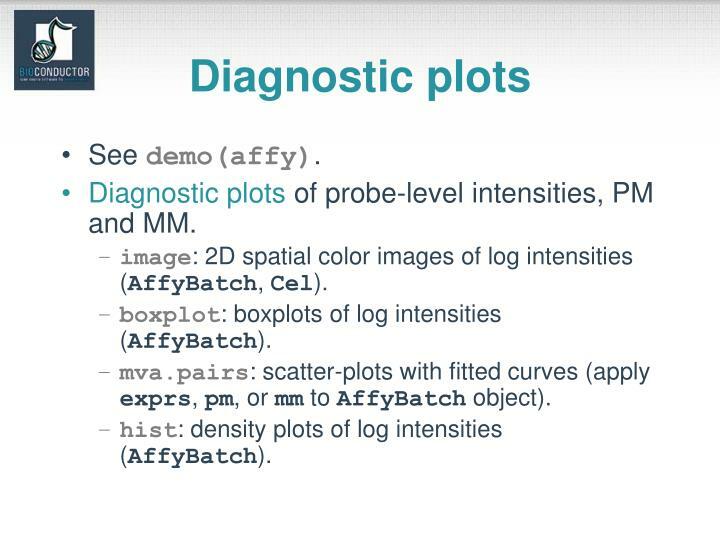 create a directory with a standard set of diagnostic plots (jpeg format) and tab delimited text files of quality measures, normalized log ratios M, and average log intensities A. 22 x 24 spot matrices. 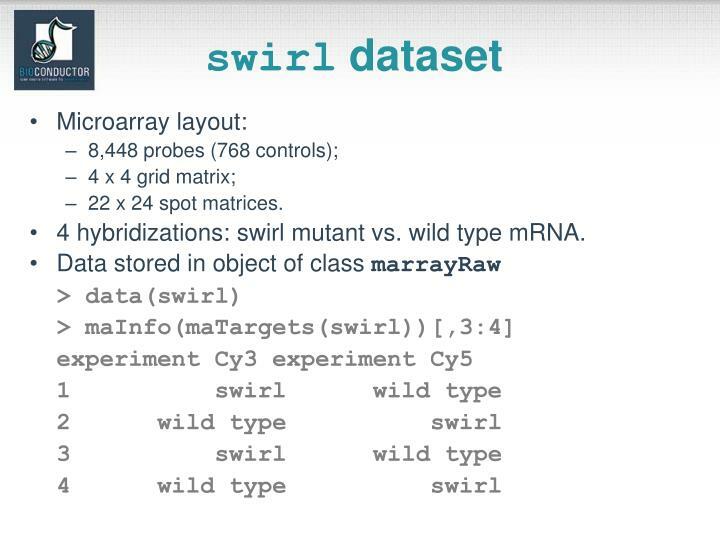 4 hybridizations: swirl mutant vs. wild type mRNA. 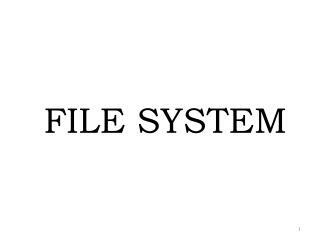 DATfile: Image file, ~10^7 pixels, ~50 MB. CELfile: Cell intensity file, probe level PM and MM values. 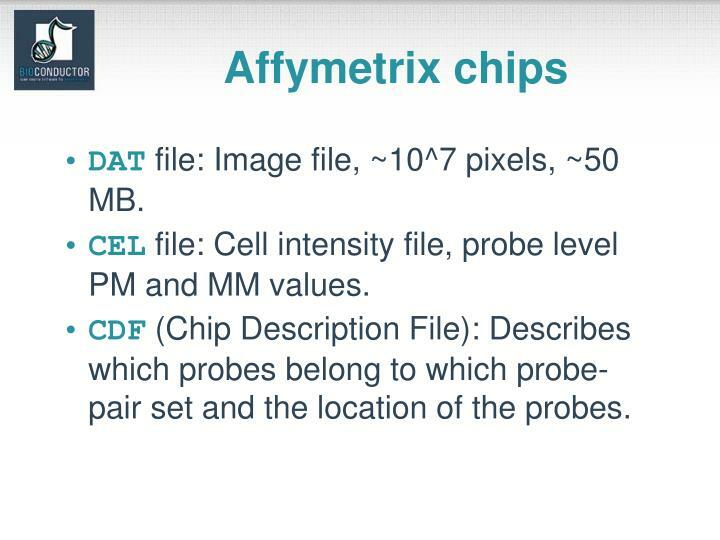 CDF (Chip Description File): Describes which probes belong to which probe-pair set and the location of the probes. 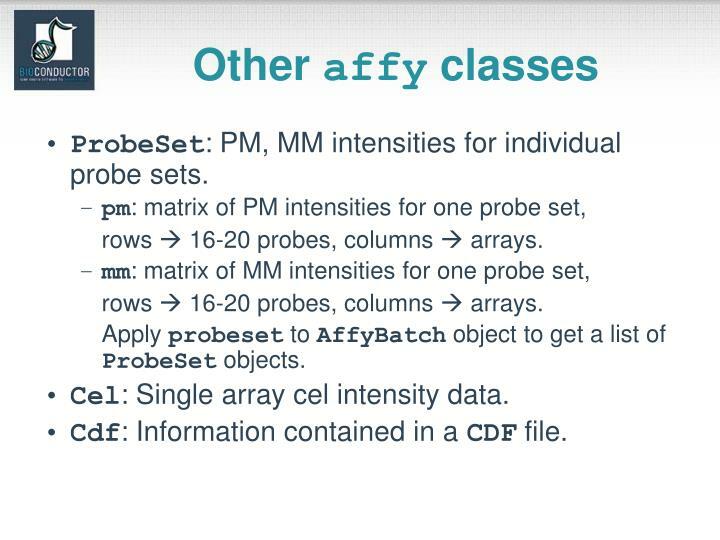 Class definitions for probe-level data: AffyBatch, ProbSet, Cdf, Cel. 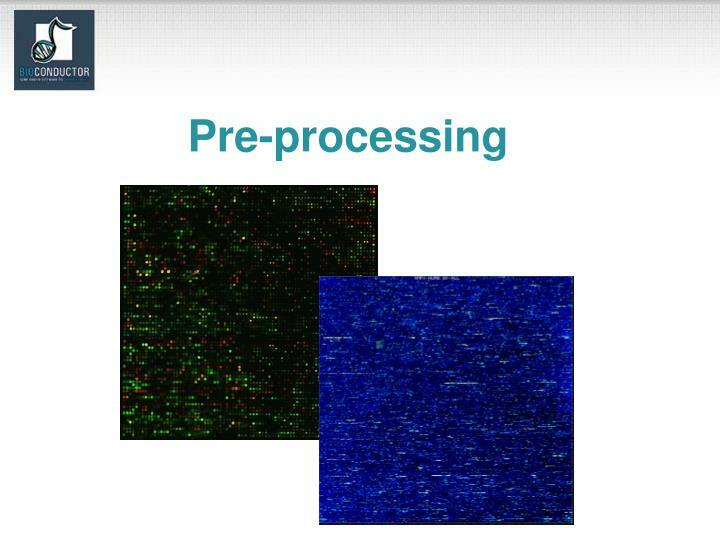 Basic methods for manipulating microarray objects: printing, plotting, subsetting. 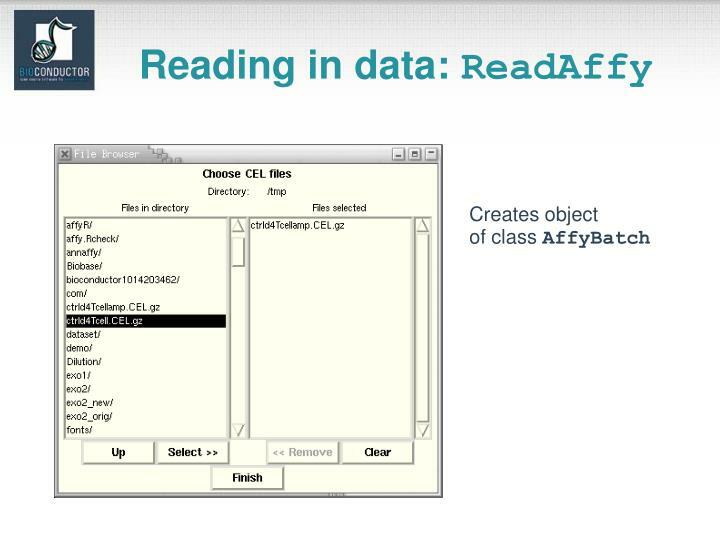 Functions and widgets for data input from CEL and CDF files, and automatic generation of microarray data objects. 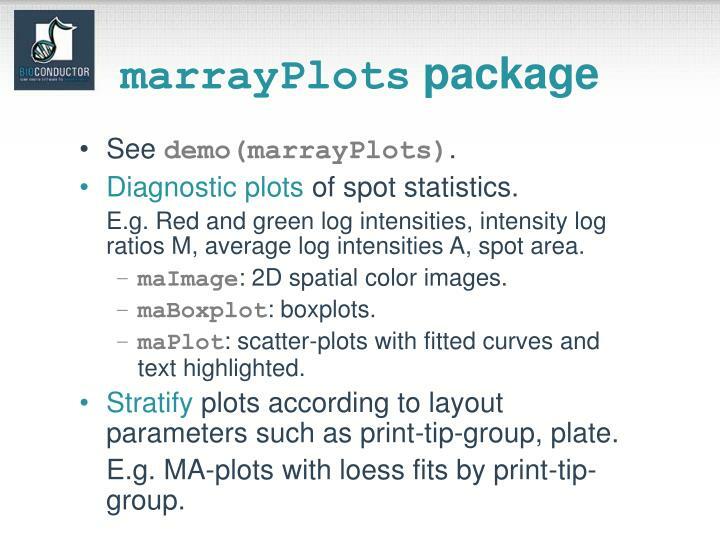 Diagnostic plots: 2D spatial images, density plots, boxplots, MA-plots. Probe-level normalization: quantile and curve-fitting normalization (Bolstad et al., 2003). Expression measures: MAS 4.0 AvDiff, MAS 5.0 Signal, MBEI (Li & Wong, 2001), RMA (Irizarry et al., 2003). 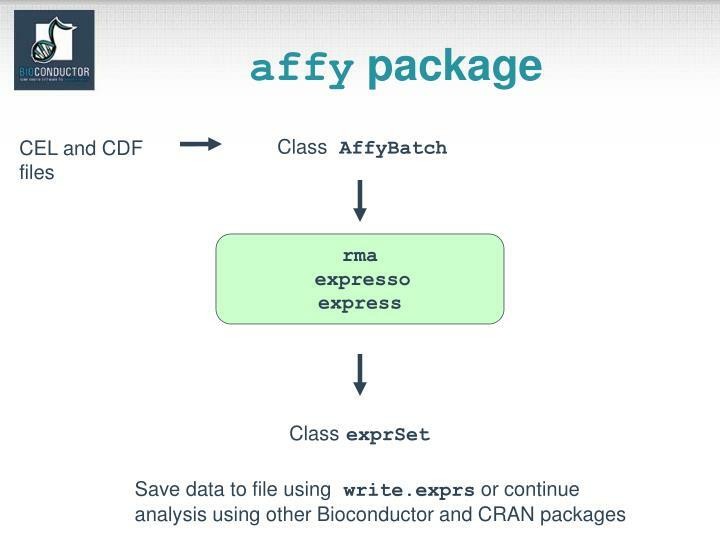 Main functions: ReadAffy, rma, expresso, express. ProbeSet: PM, MM intensities for individual probe sets. rows  16-20 probes, columns  arrays. Apply probeset to AffyBatchobject to get a list of ProbeSet objects. Cel: Single array cel intensity data. 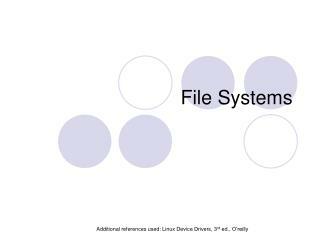 Cdf: Information contained in a CDF file. probeNames: method for accessing AffyIDs corresponding to individual probes. 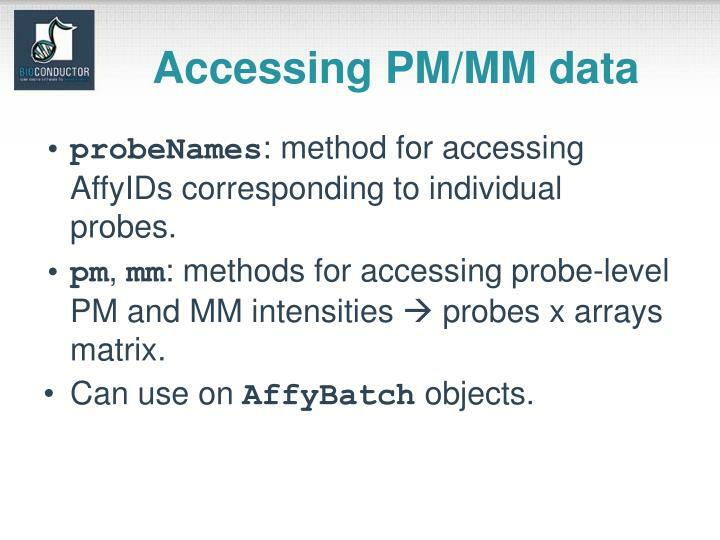 pm, mm: methods for accessing probe-level PM and MM intensities  probes x arrays matrix. Can use on AffyBatch objects. Diagnostic plots of probe-level intensities, PM and MM. image: 2D spatial color images of log intensities (AffyBatch, Cel). 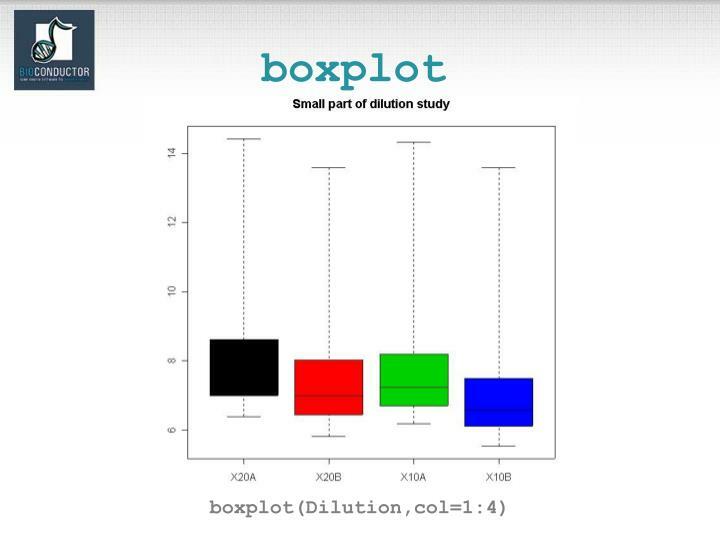 boxplot: boxplots of log intensities (AffyBatch). 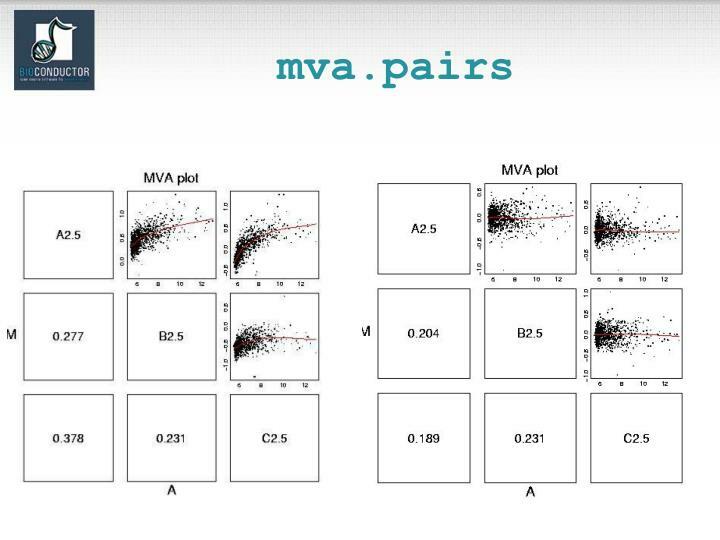 mva.pairs: scatter-plots with fitted curves (apply exprs, pm, or mm to AffyBatch object). 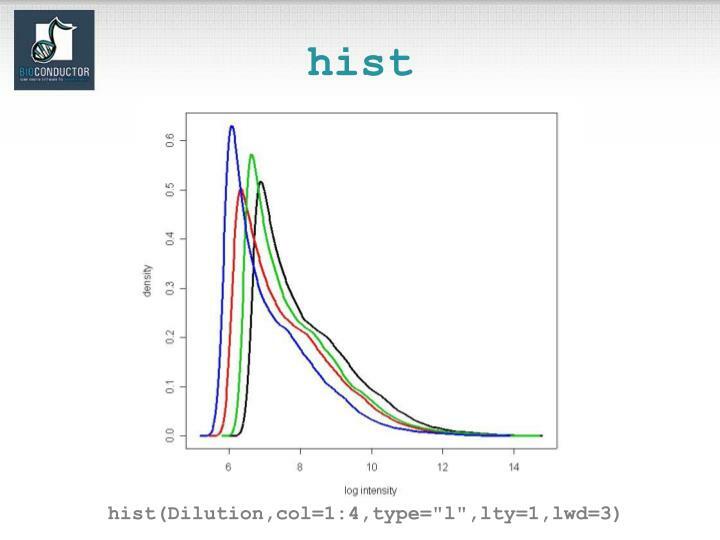 hist: density plots of log intensities (AffyBatch). rma: Fast implementation of RMA (Irizarry et al., 2003): model-based background correction, quantile normalization, median polish expression measures. 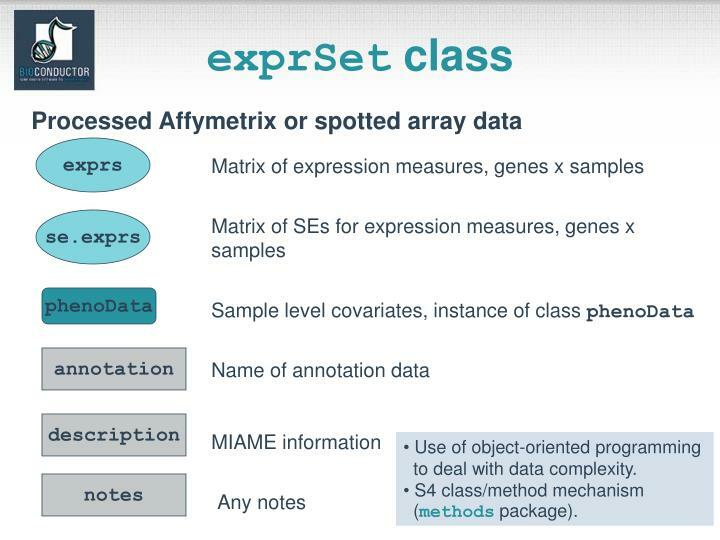 express: Implementing your own methods for computing expression measures. 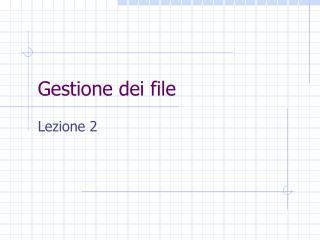 normalize: Normalization procedures in normalize.AffyBatch.methods or normalize.methods(object). 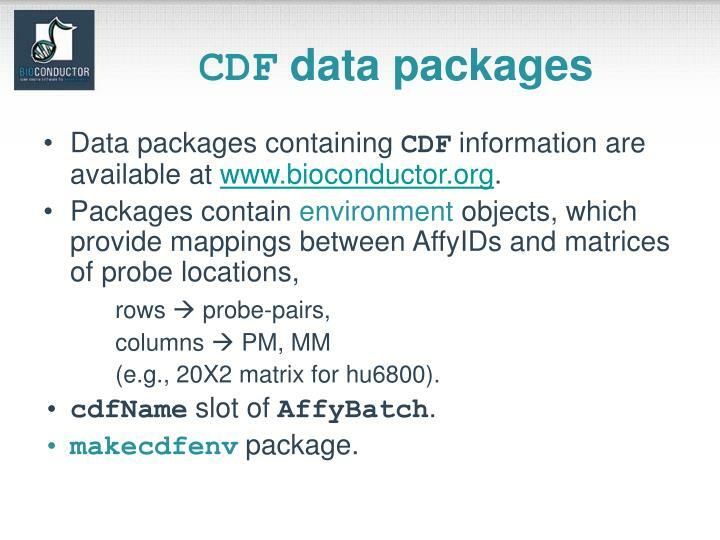 Data packages containing CDF information are available at www.bioconductor.org. (e.g., 20X2 matrix for hu6800). 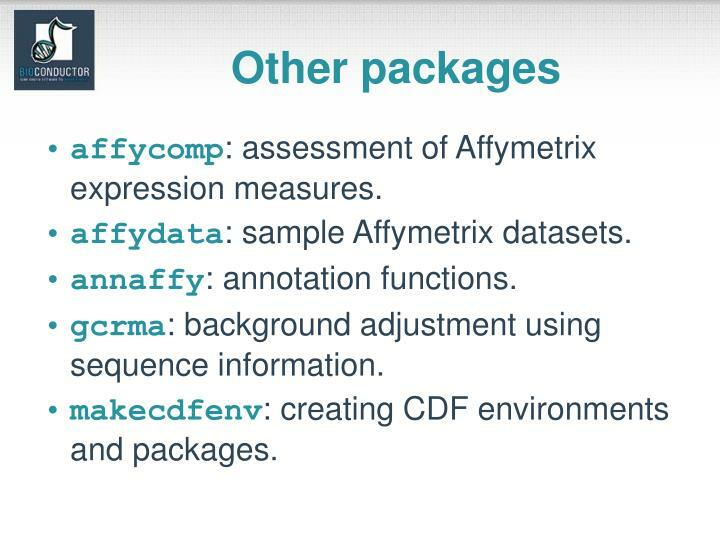 affycomp: assessment of Affymetrix expression measures. gcrma: background adjustment using sequence information. makecdfenv: creating CDF environments and packages. 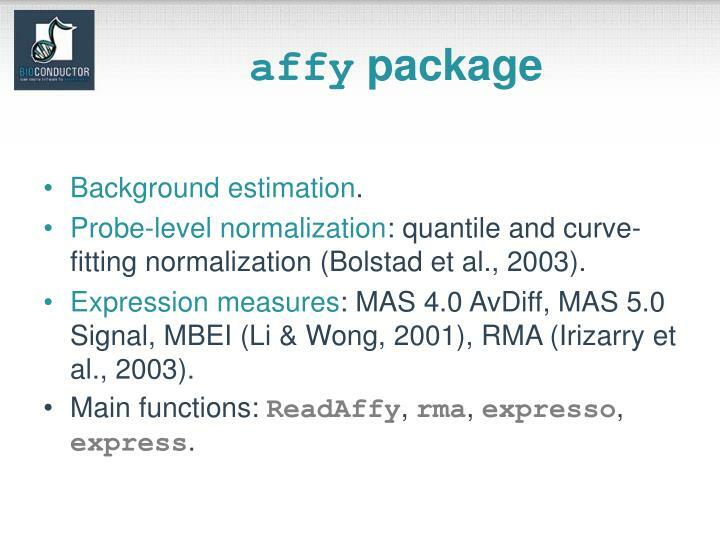 normalized expression measures, i.e., log ratios or Affy expression measures. Reliability/quality information for the expression measures. Information on the probe sequences printed on the arrays (array layout). Information on the target samples hybridized to the arrays. 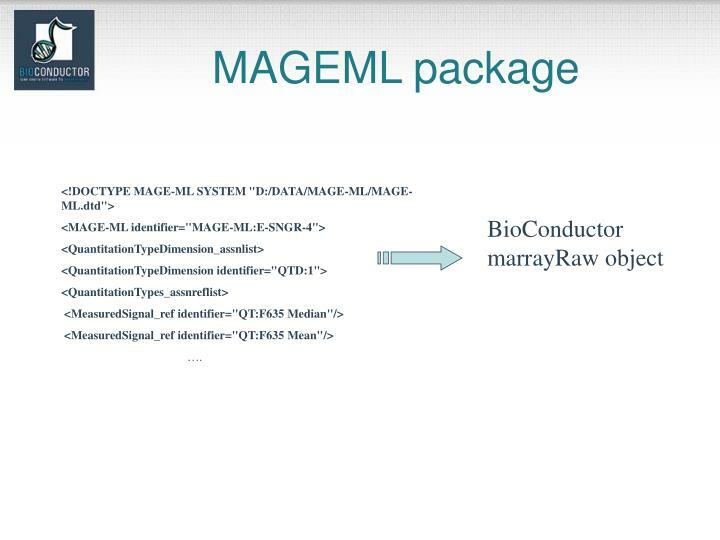 See Minimum Information About a Microarray Experiment(MIAME)standards and newMAGEML package. 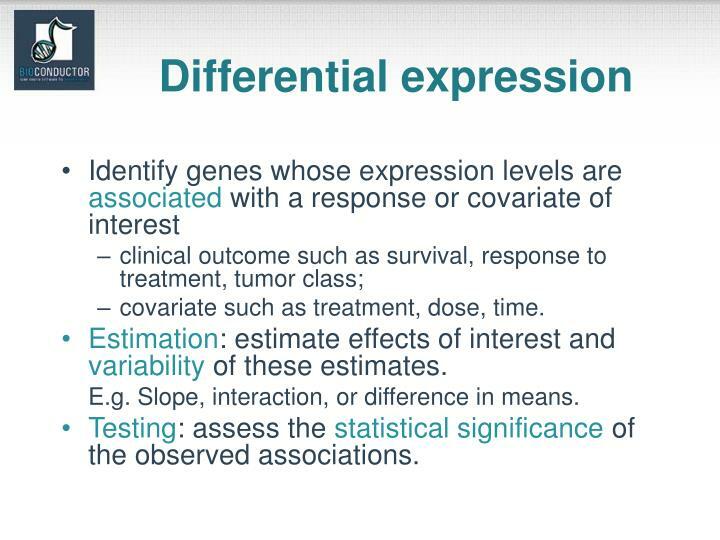 Biological attributes that can be applied to the experimental data. 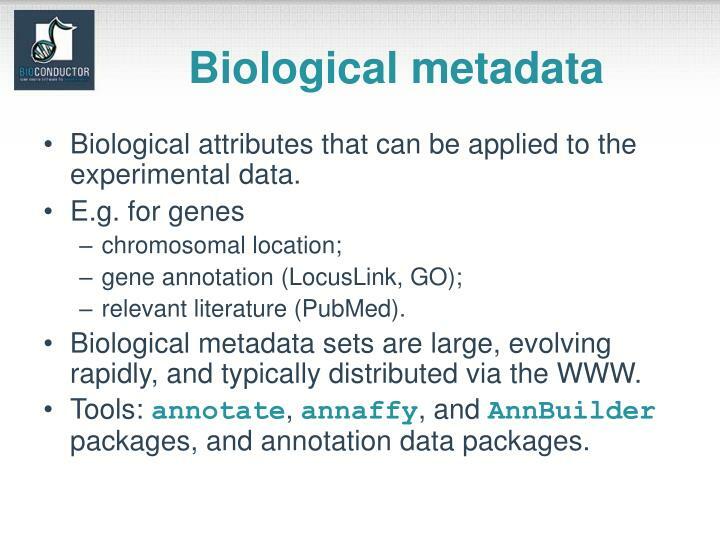 Biological metadata sets are large, evolving rapidly, and typically distributed via the WWW. 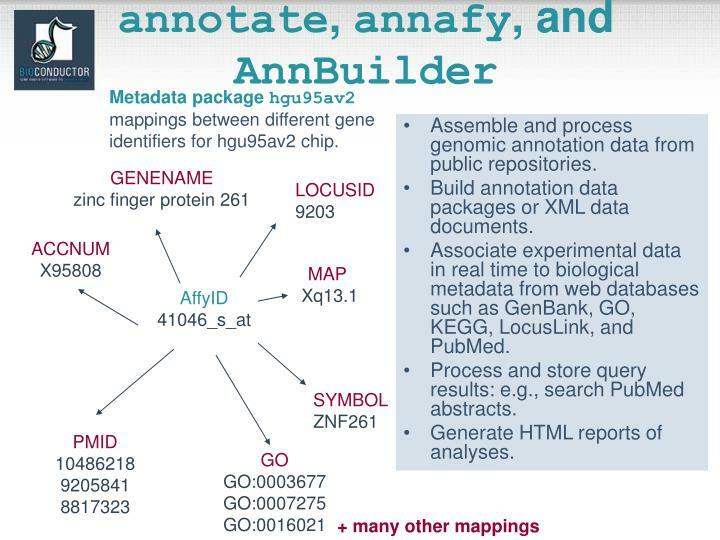 Tools: annotate, annaffy,and AnnBuilder packages, and annotation data packages. 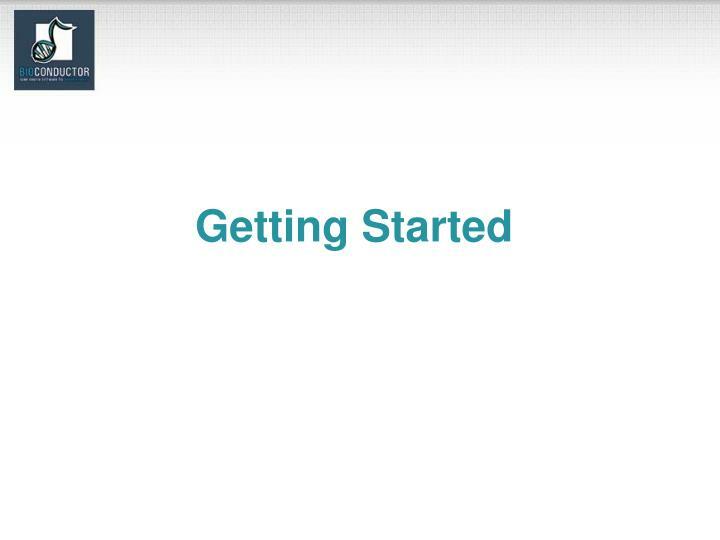 Assemble and process genomic annotation data from public repositories. 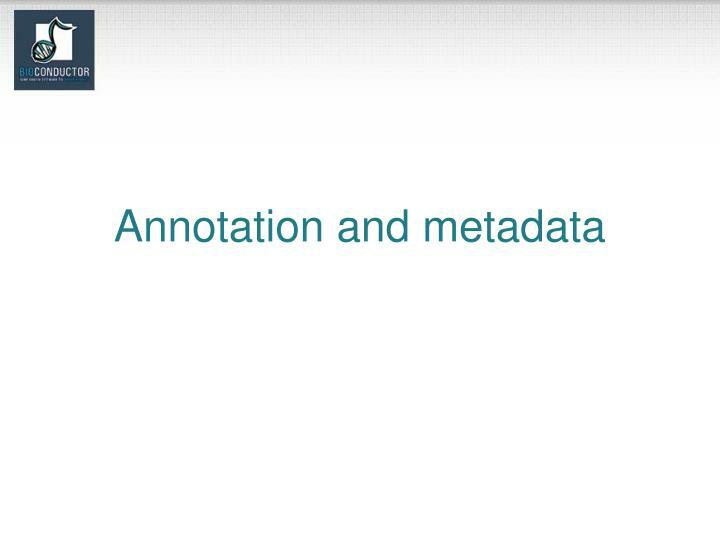 Build annotation data packages or XML data documents. 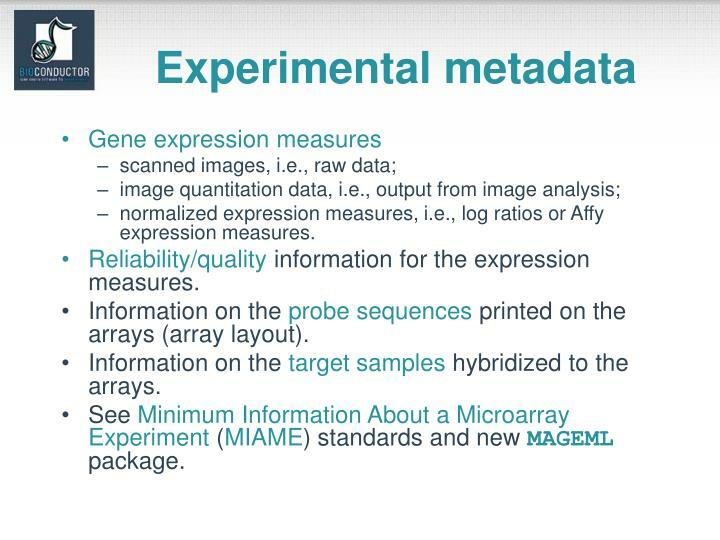 Associate experimental data in real time to biological metadata from web databases such as GenBank, GO, KEGG, LocusLink, and PubMed. Process and store query results: e.g., search PubMed abstracts. Generate HTML reports of analyses. 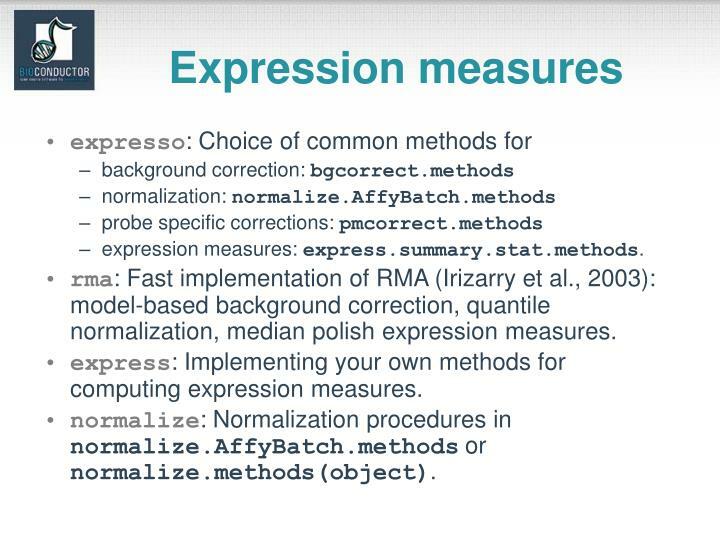 expression measure, e.g., from RMA. Spotted array factorial experiment. 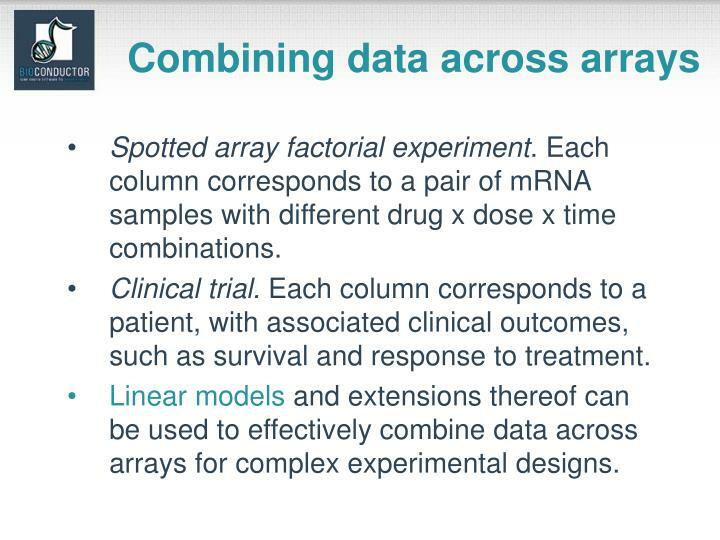 Each column corresponds to a pair of mRNA samples with different drug x dose x time combinations. Clinical trial. Each column corresponds to a patient, with associated clinical outcomes, such as survival and response to treatment. 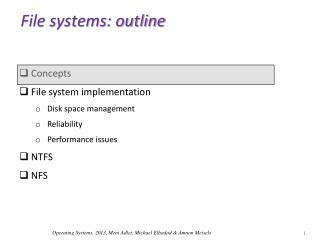 Linear models and extensions thereof can be used to effectively combine data across arrays for complex experimental designs. 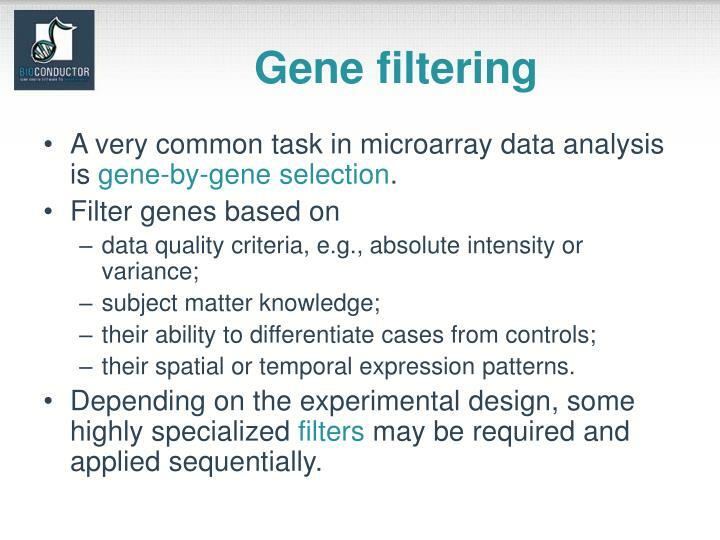 A very common task in microarray data analysis is gene-by-gene selection. their spatial or temporal expression patterns. Depending on the experimental design, some highly specialized filters may be required and applied sequentially. 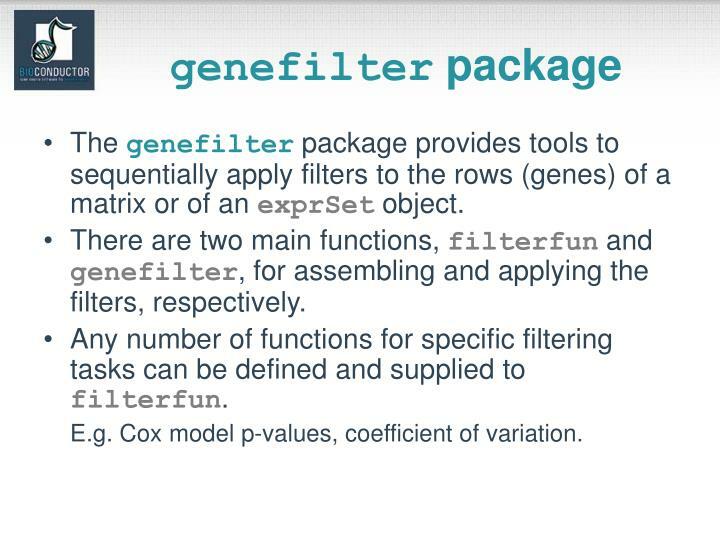 The genefilterpackage provides tools to sequentially apply filters to the rows (genes) of a matrix or of an exprSet object. 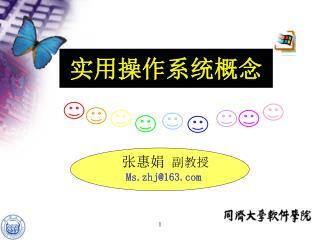 There are two main functions, filterfun and genefilter, for assembling and applying the filters, respectively. 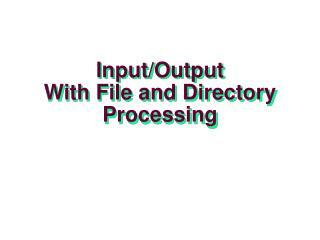 Any number of functions for specific filtering tasks can be defined and supplied to filterfun. E.g. Cox model p-values, coefficient of variation. 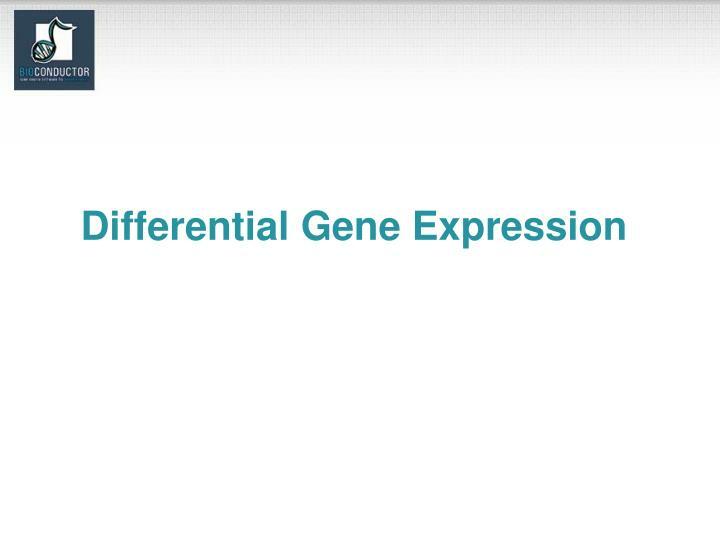 kOverA – select genes for which k samples have expression measures larger than A.
gapFilter – select genes with a large IQR or gap (jump) in expression measures across samples. ttest – select genes according to t-test nominal p-values. 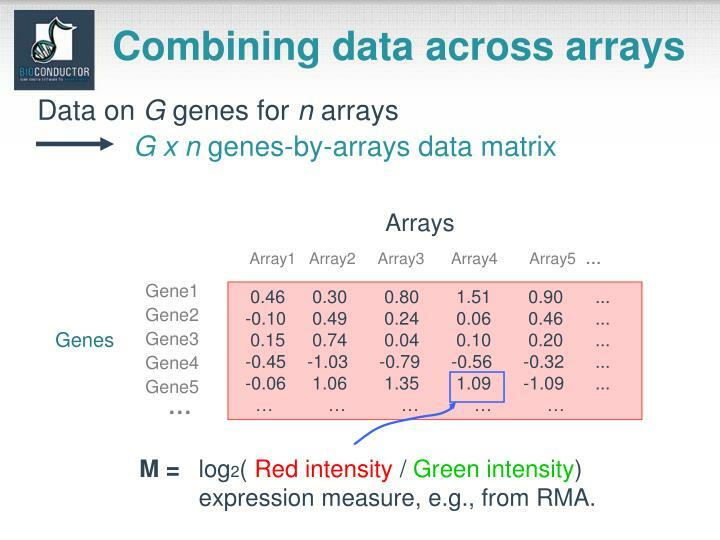 Anova – select genes according to ANOVA nominal p-values. 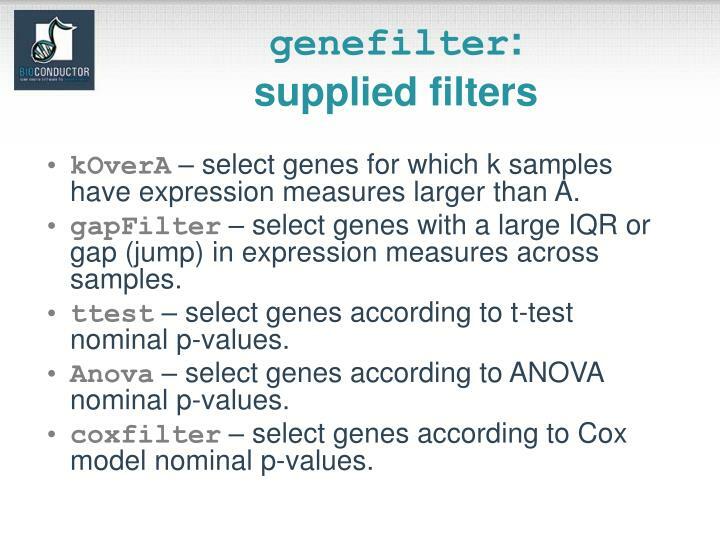 coxfilter – select genes according to Cox model nominal p-values. covariate such as treatment, dose, time. Estimation: estimate effects of interest and variability of these estimates. E.g. Slope, interaction, or difference in means. Testing: assess the statistical significance of the observed associations. False Discovery Rate (FDR): Benjamini & Hochberg (1995), Benjamini & Yekutieli (2001). Tests based on t- or F-statistics for one- and two-factor designs. 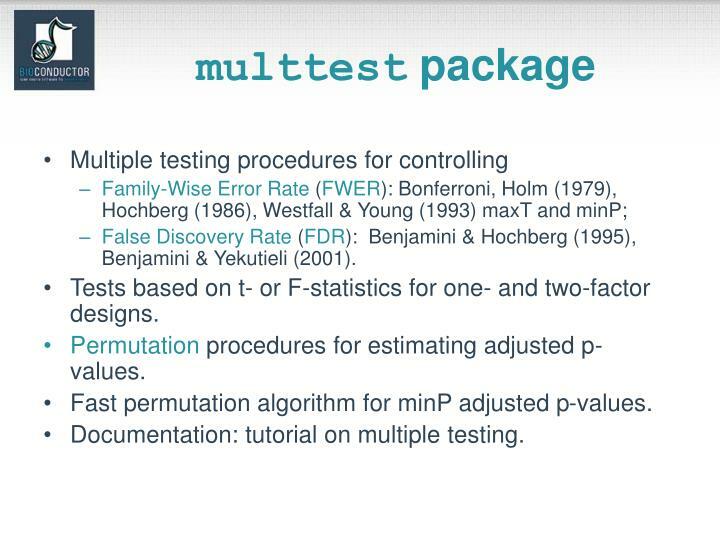 Permutation procedures for estimating adjusted p-values. Fast permutation algorithm for minP adjusted p-values. Documentation: tutorial on multiple testing. Fitting of gene-wise linear models to estimate log ratios between two or more target samples simultaneously: lm.series, rlm.series, glm.series (handle replicate spots). ebayes: moderated t-statistics and log-odds of differential expression by empirical Bayes shrinkage of the standard errors towards a common value. 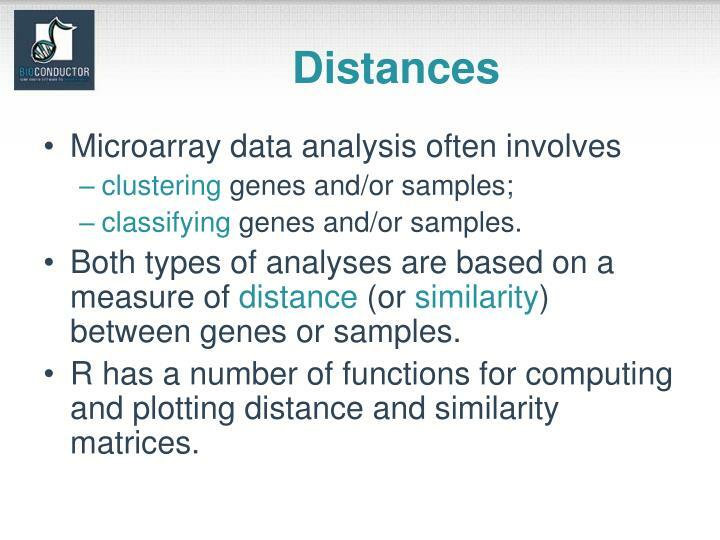 Both types of analyses are based on a measure of distance (or similarity) between genes or samples. 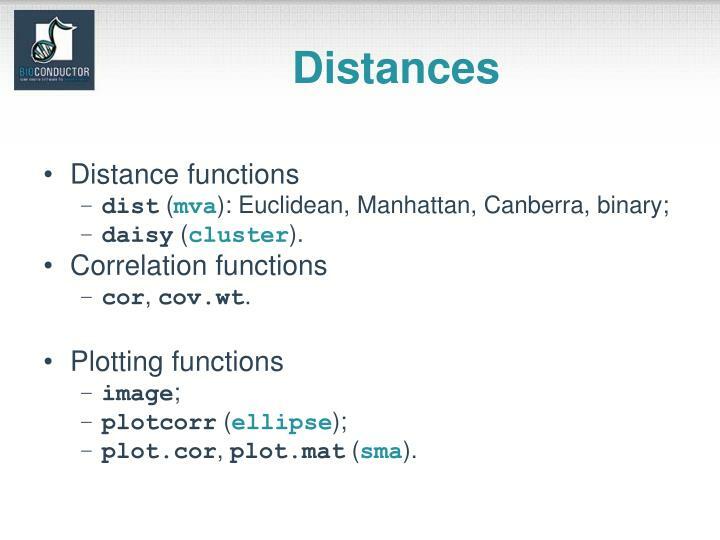 R has a number of functions for computing and plotting distance and similarity matrices. 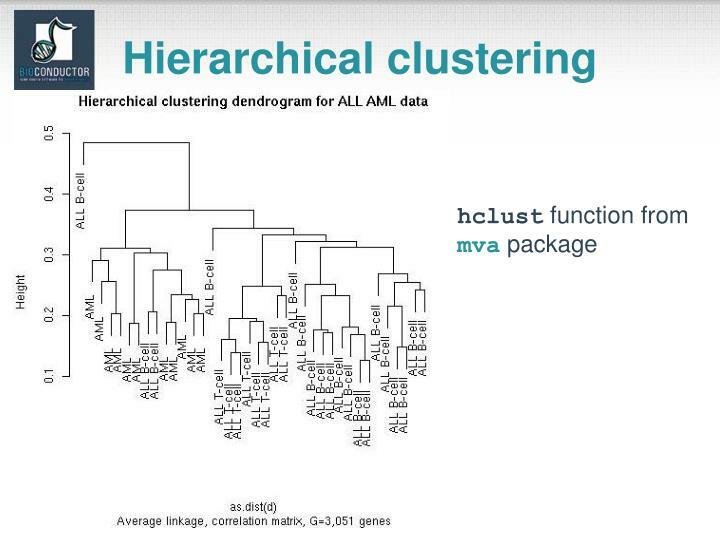 fpc: fixed point clusters, clusterwise regression and discriminant plots. 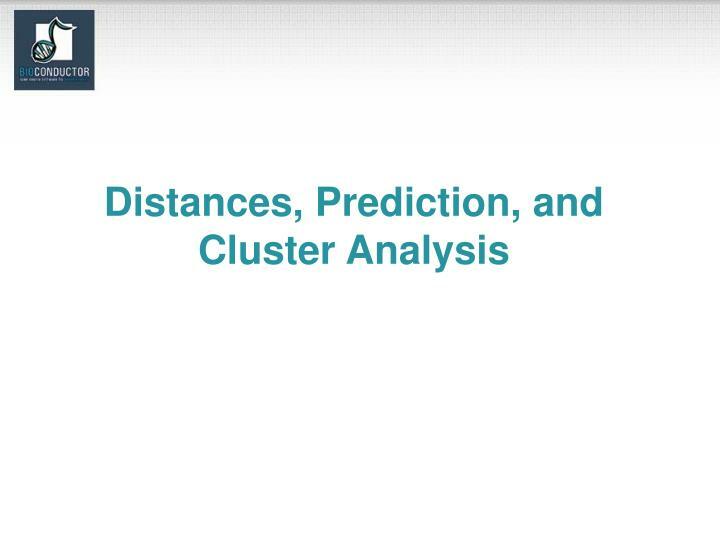 mclust, mclust98: model-based cluster analysis. 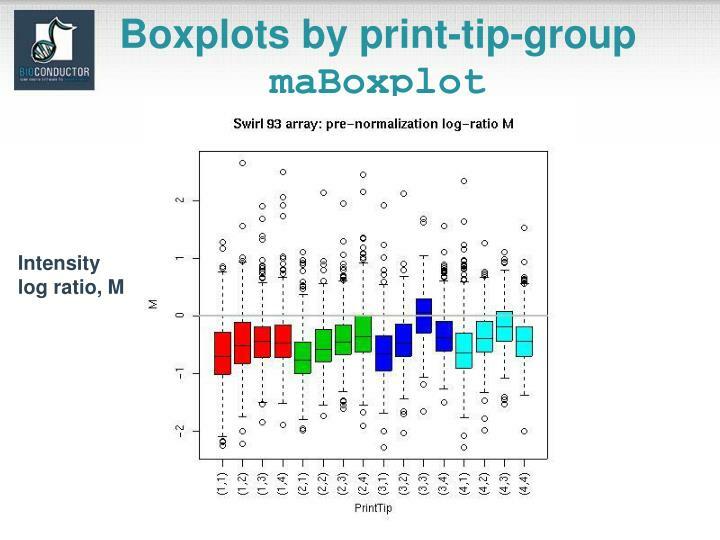 Specialized summary, plot, and print methods for clustering results. 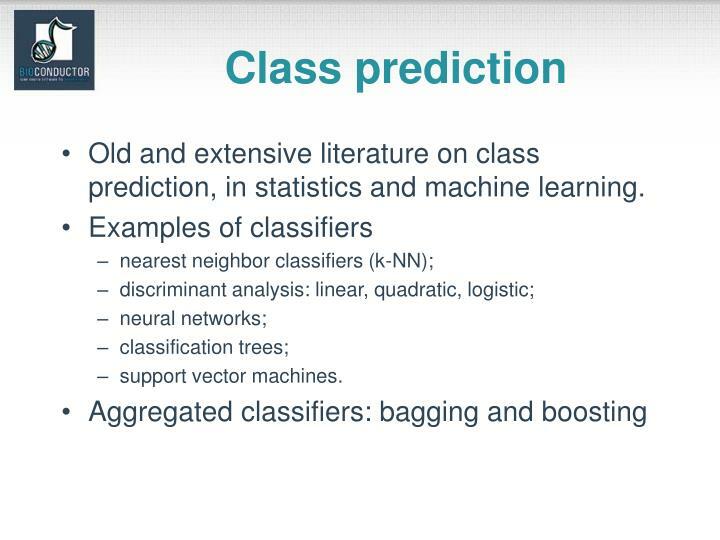 Old and extensive literature on class prediction, in statistics and machine learning. e1071: support vector machines (svm). 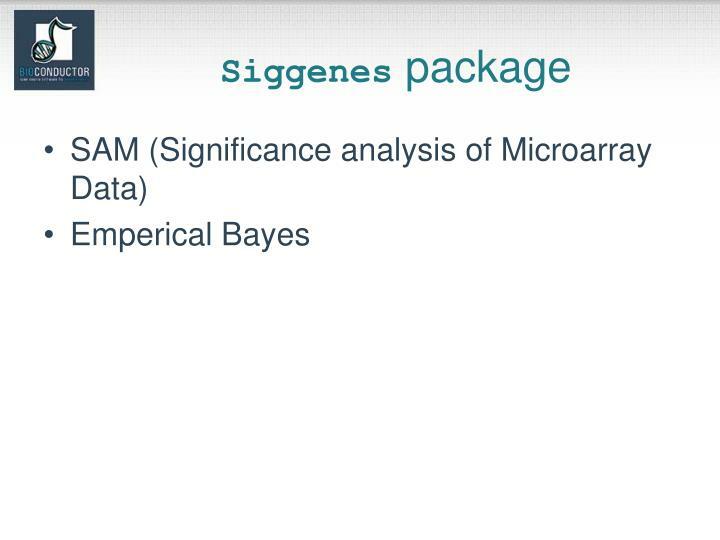 ipred: bagging, resampling based estimation of prediction error. knnTree: k-nn classification with variable selection inside leaves of a tree. LogitBoost: boosting for tree stumps. MASS: linear and quadratic discriminant analysis (lda, qda). mlbench: machine learning benchmark problems. nnet: feed-forward neural networks and multinomial log-linear models. 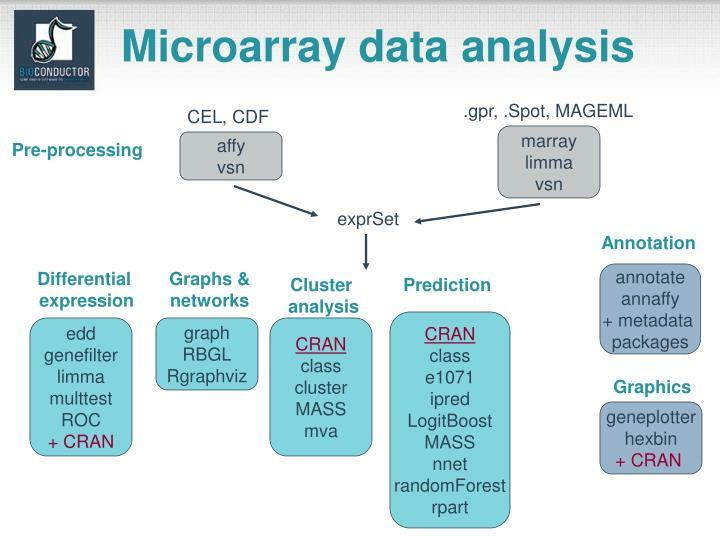 pamR: prediction analysis for microarrays. 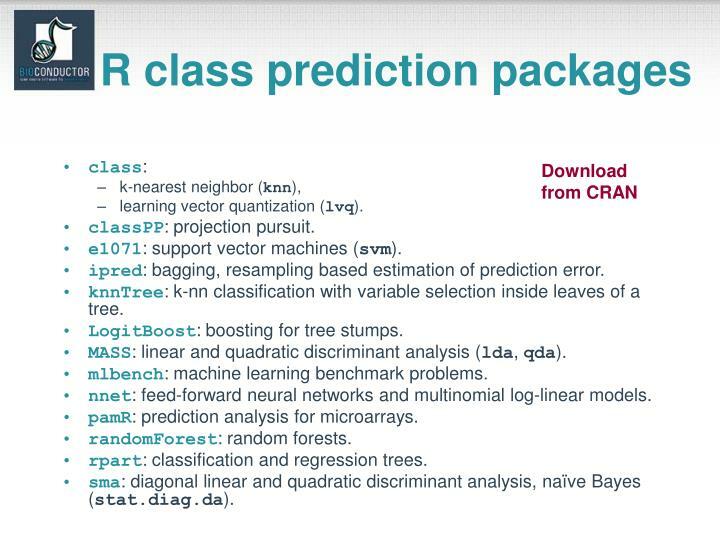 rpart: classification and regression trees. 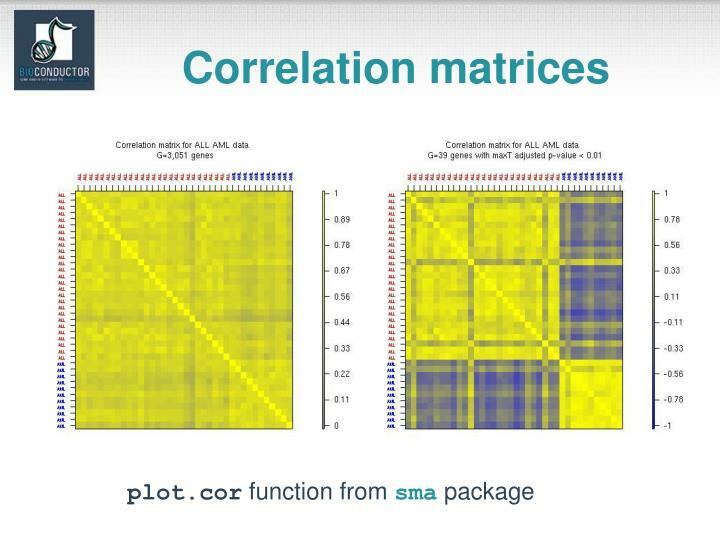 sma: diagonal linear and quadratic discriminant analysis, naïve Bayes (stat.diag.da).